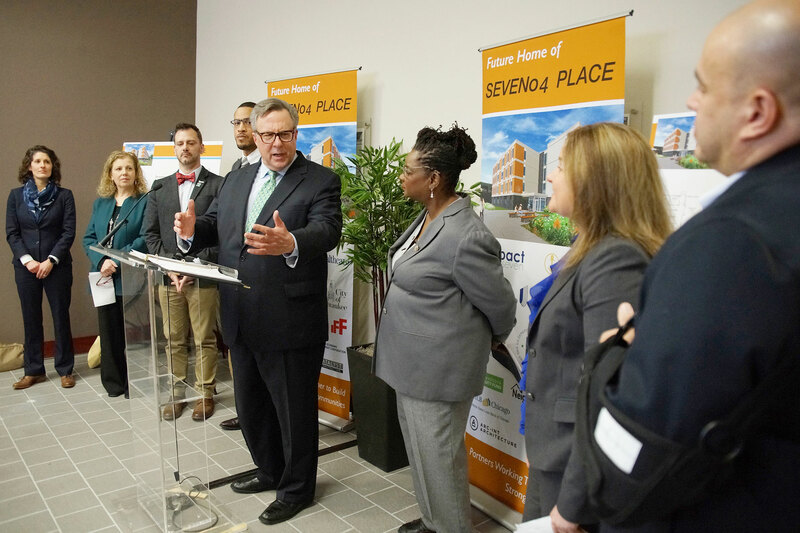 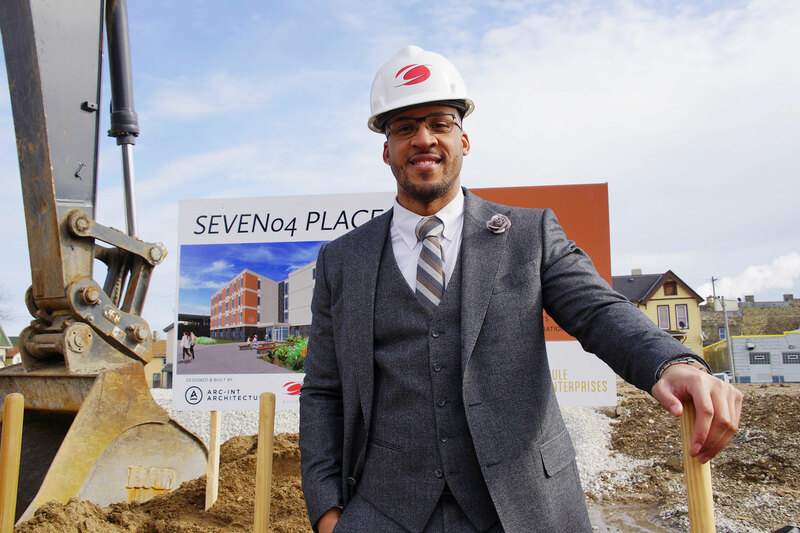 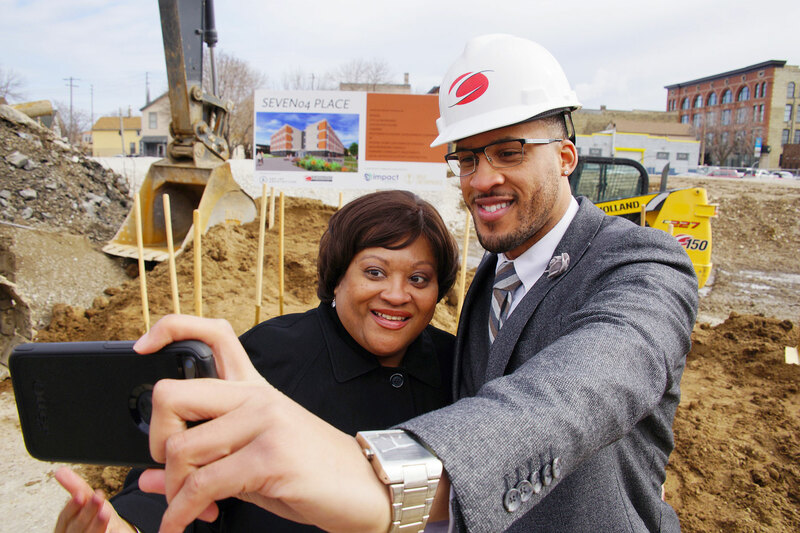 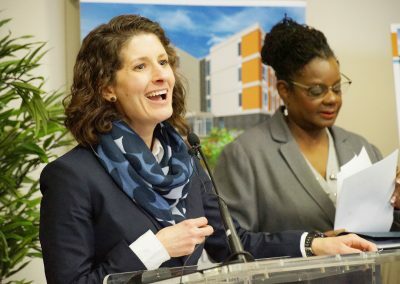 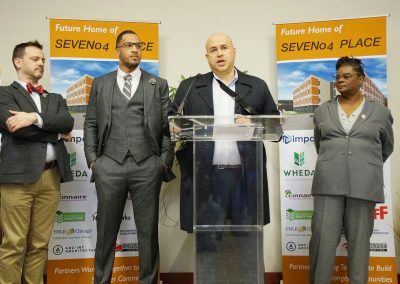 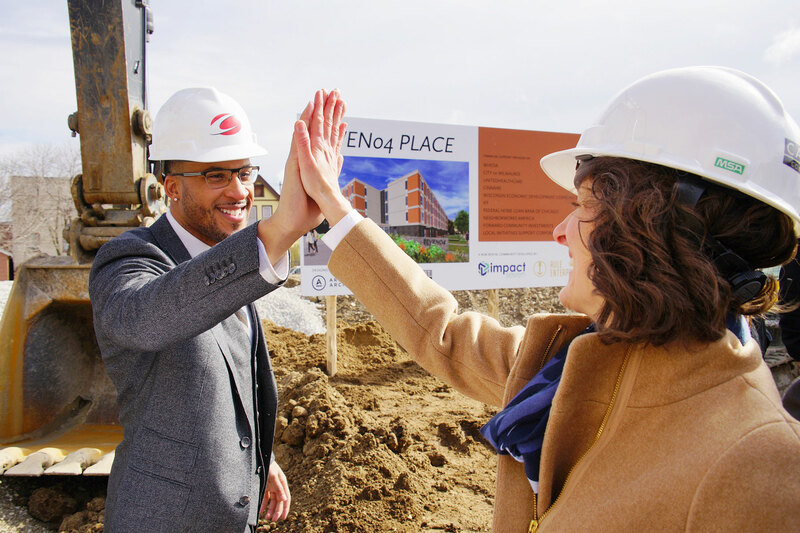 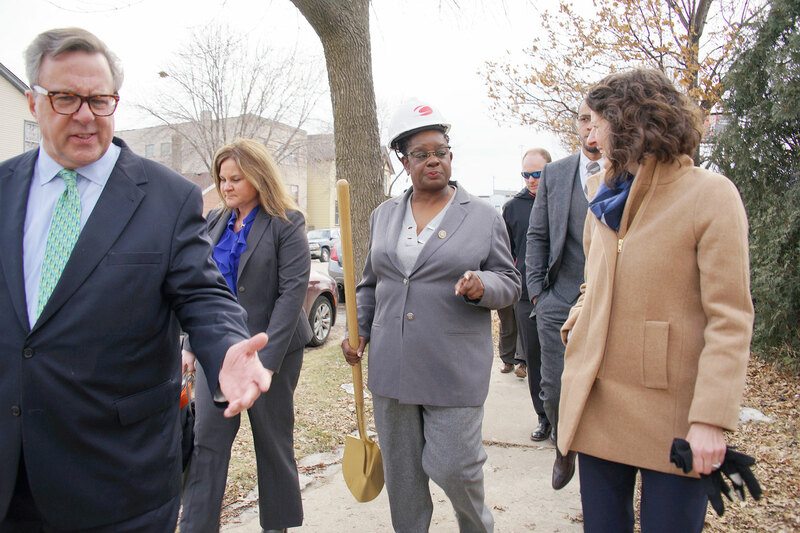 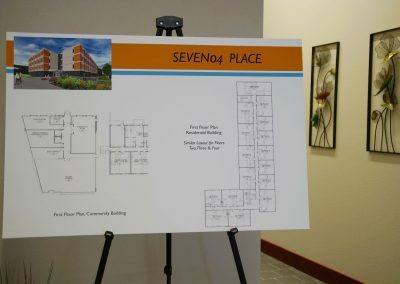 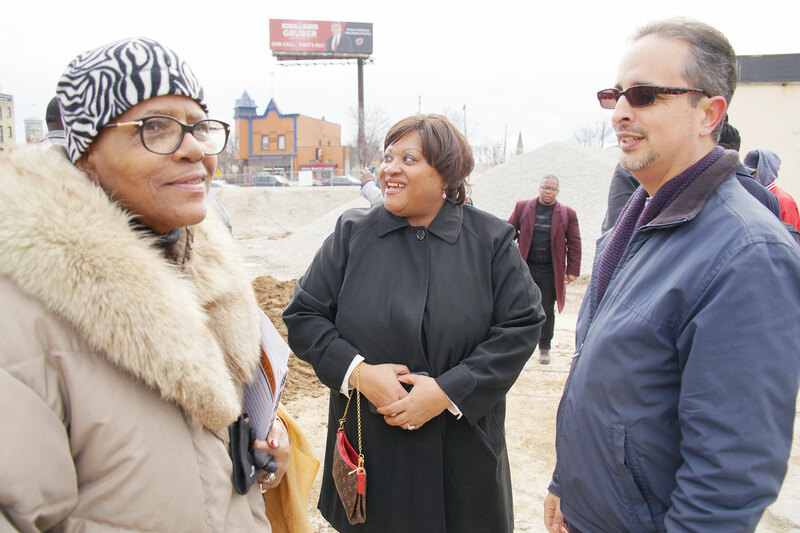 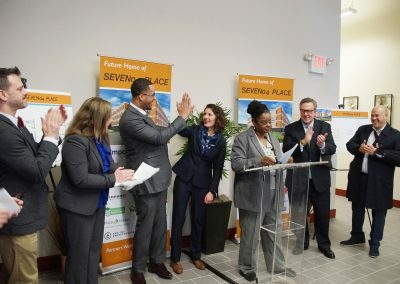 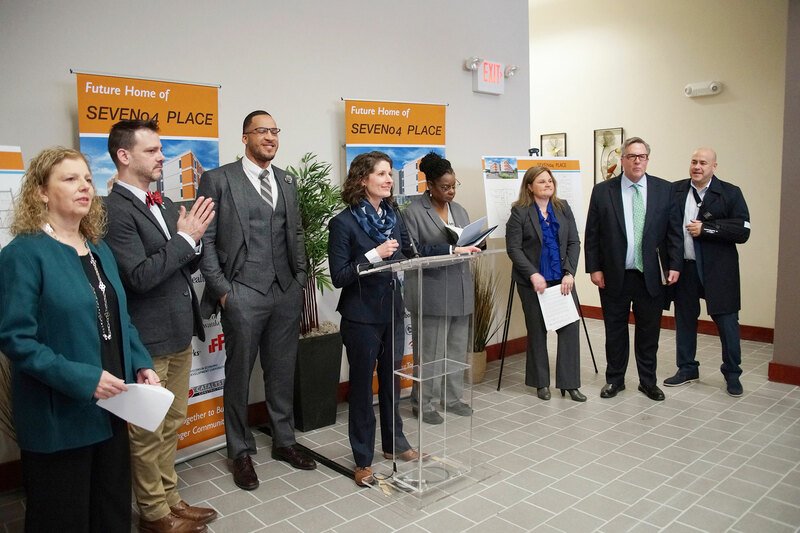 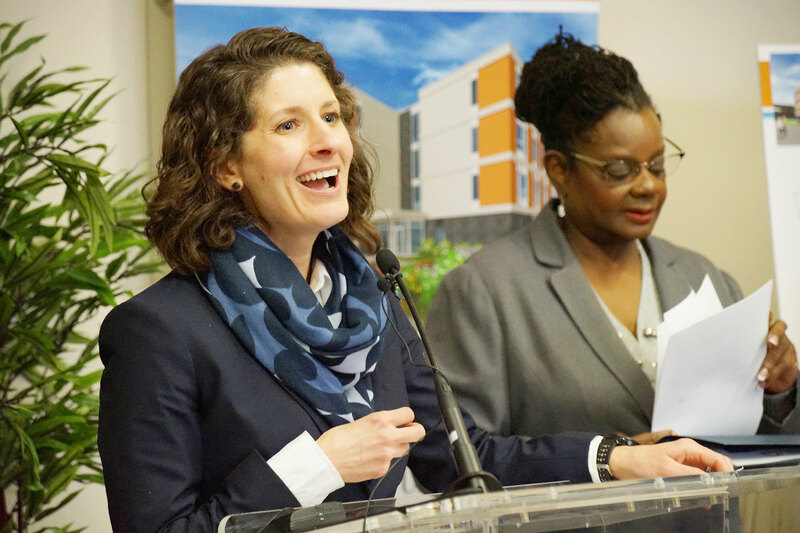 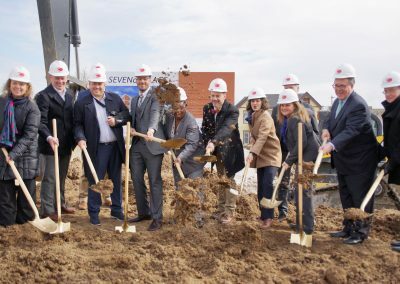 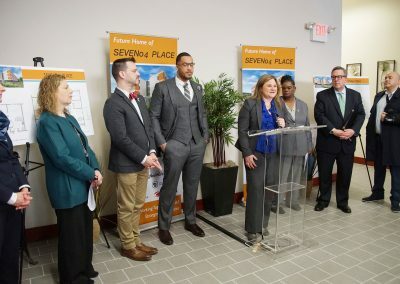 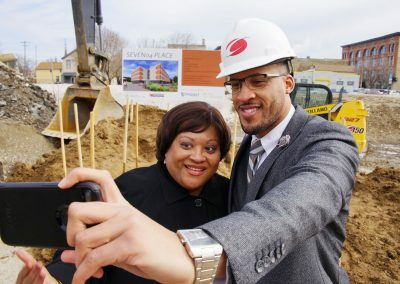 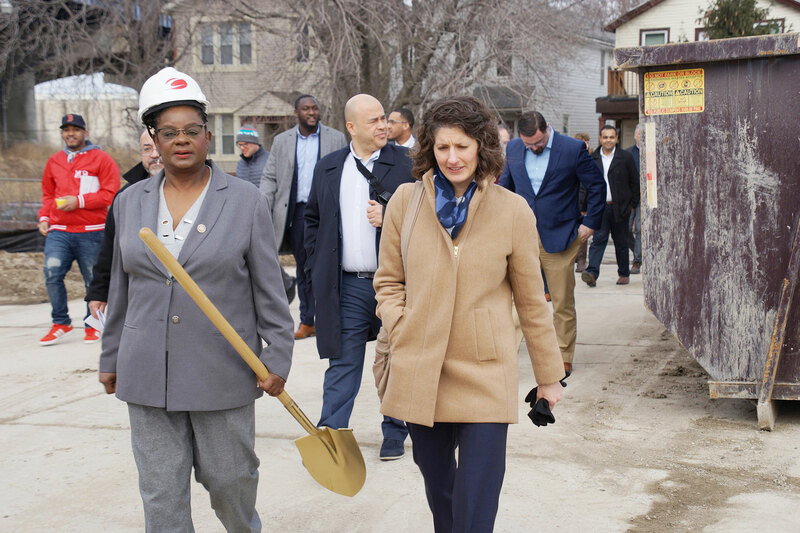 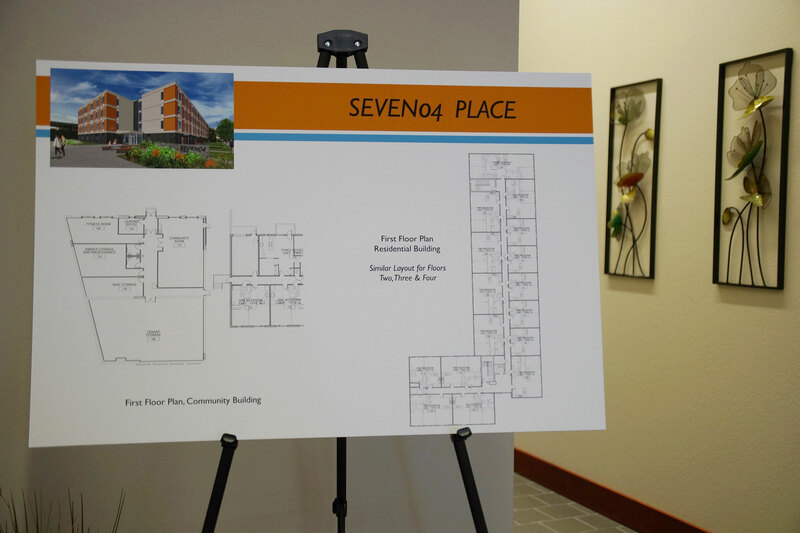 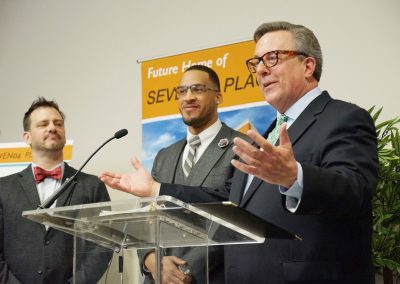 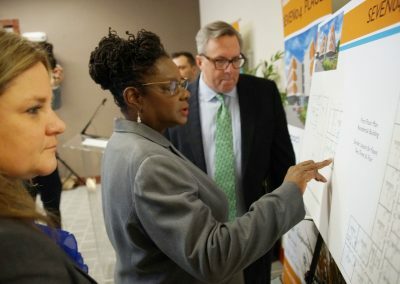 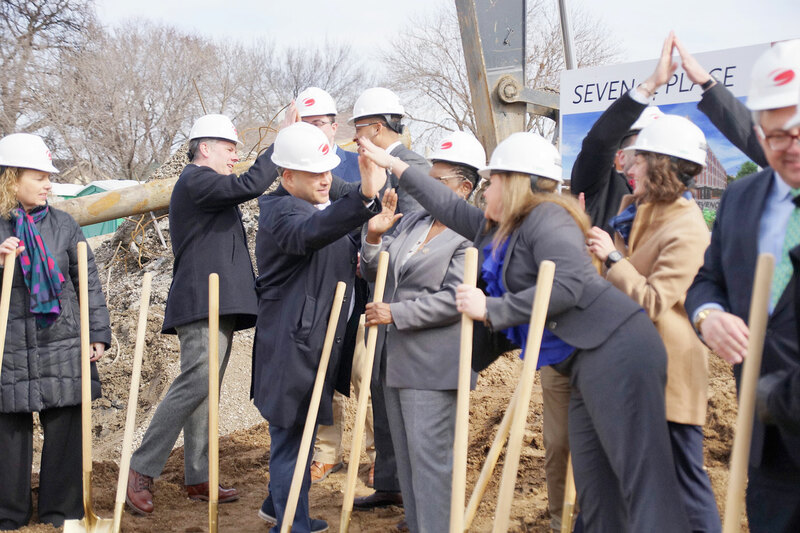 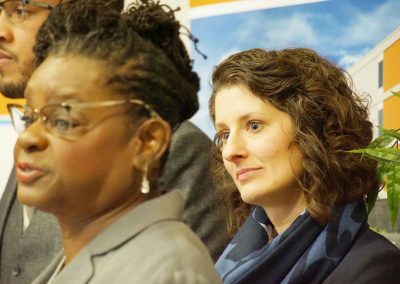 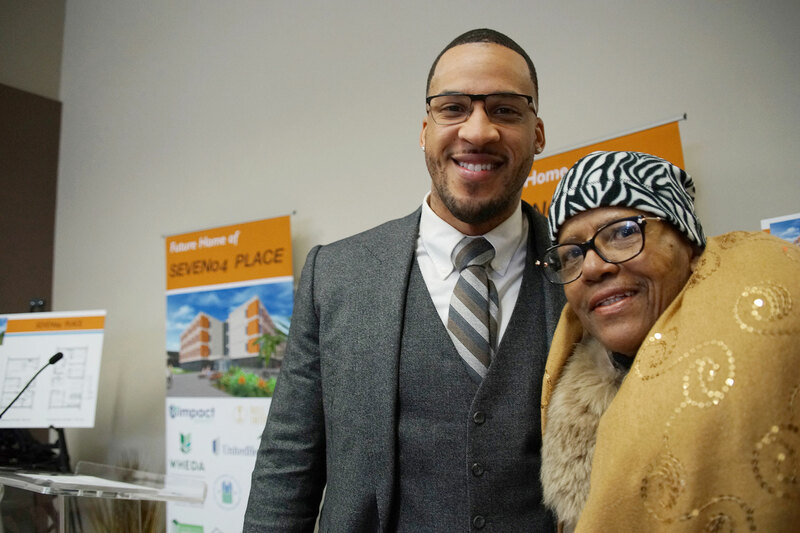 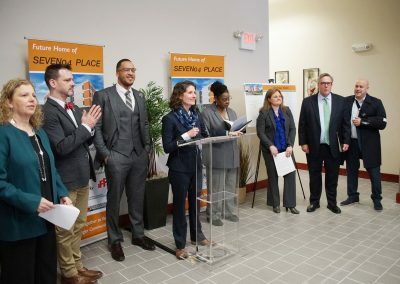 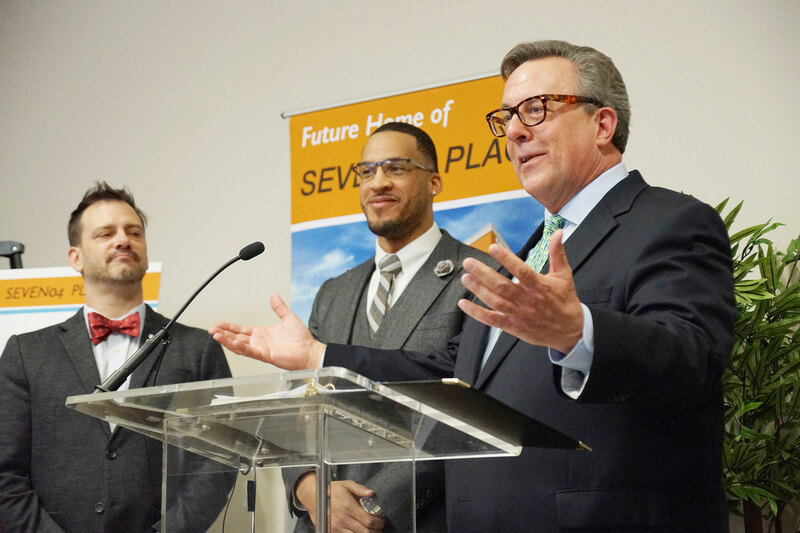 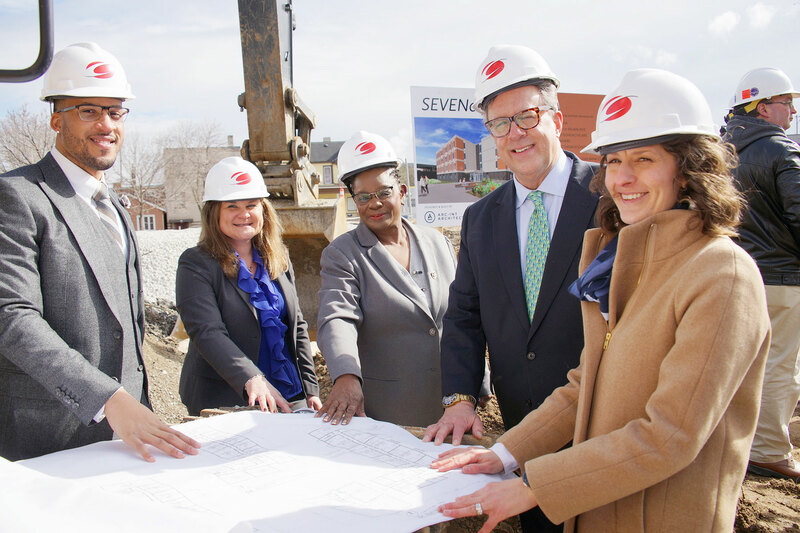 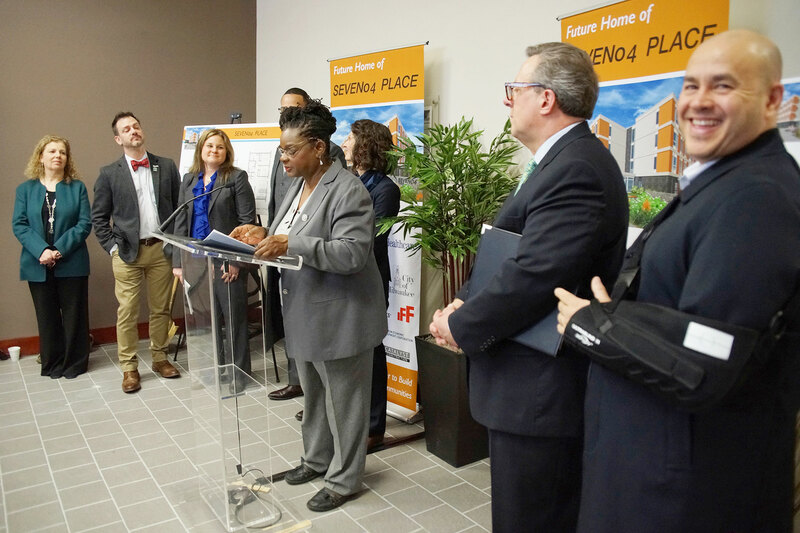 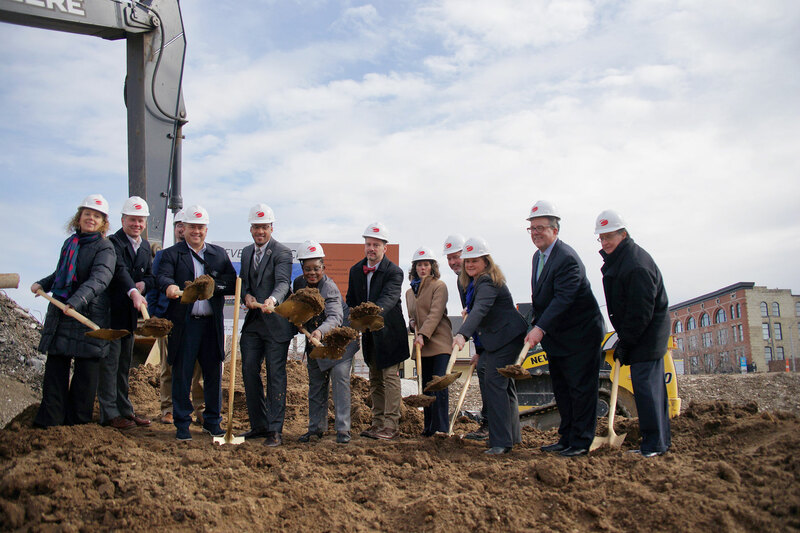 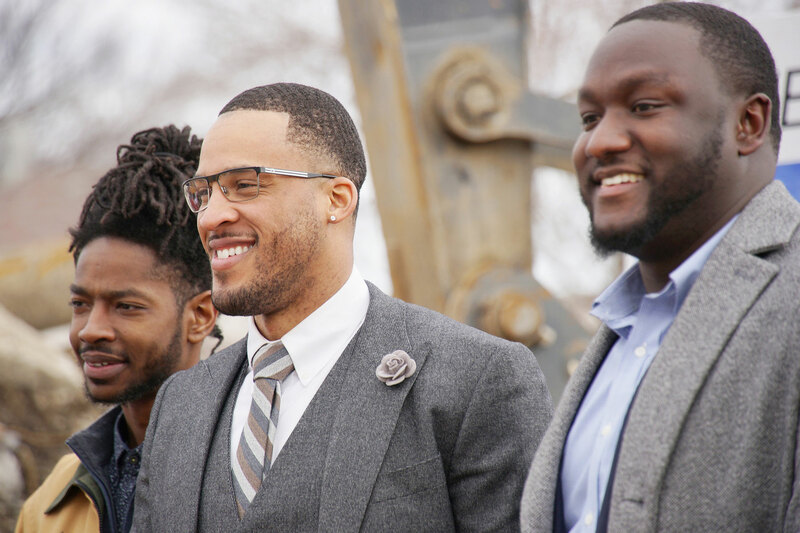 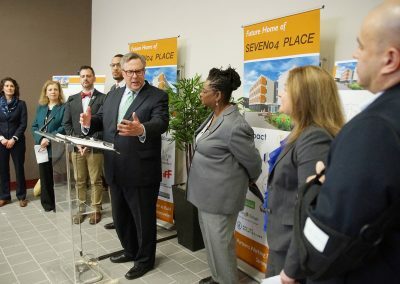 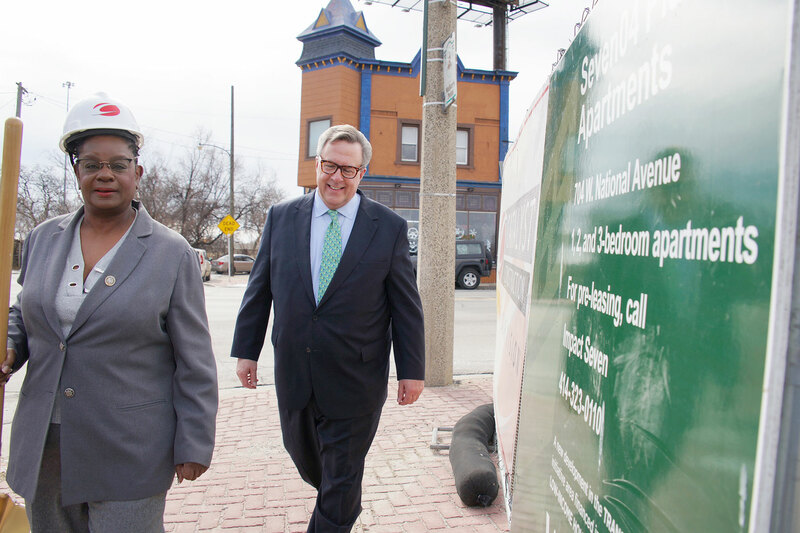 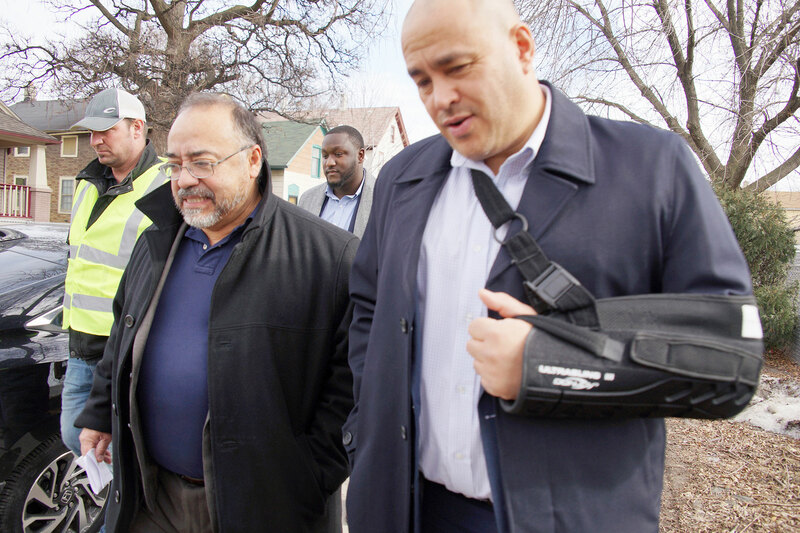 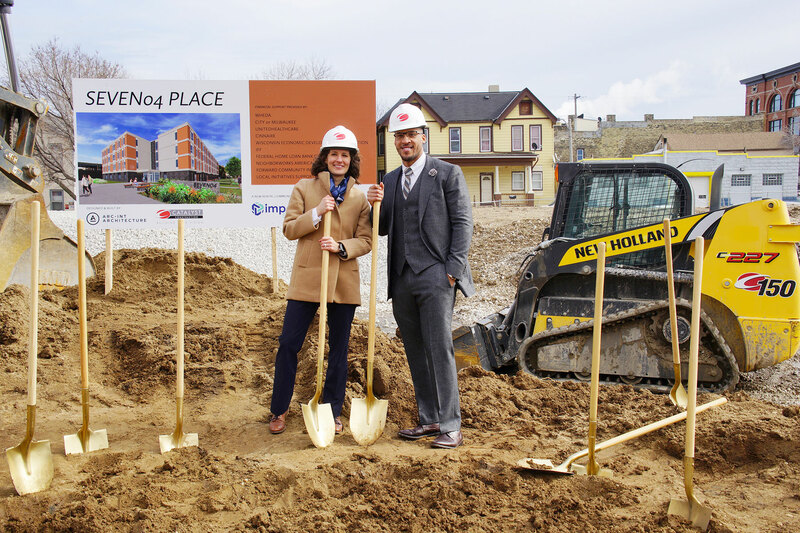 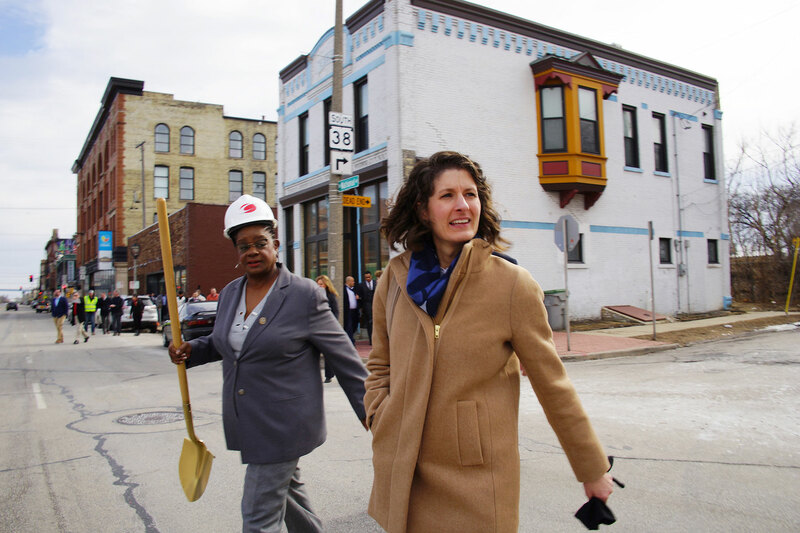 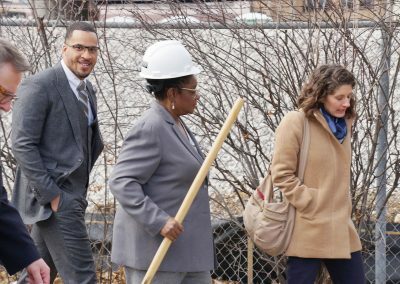 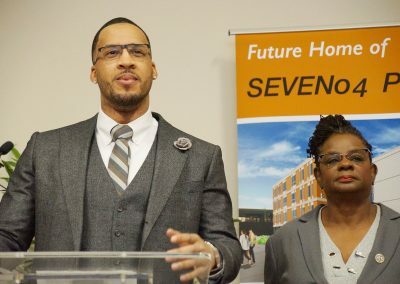 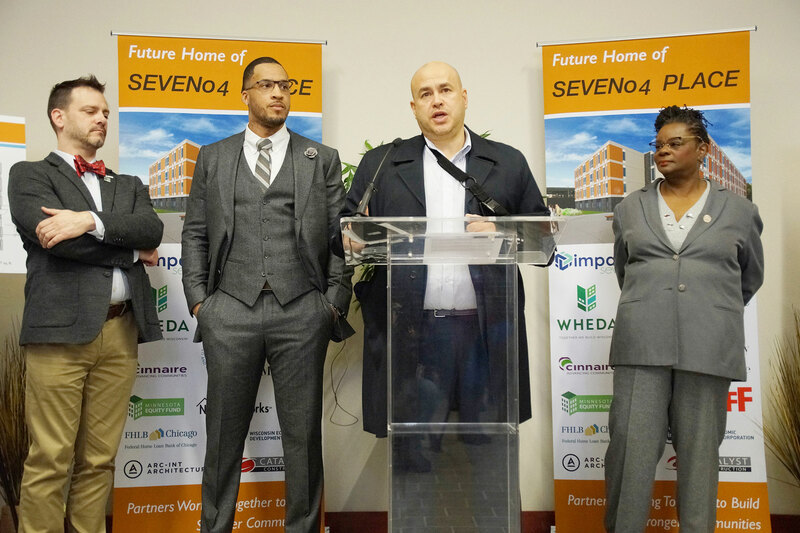 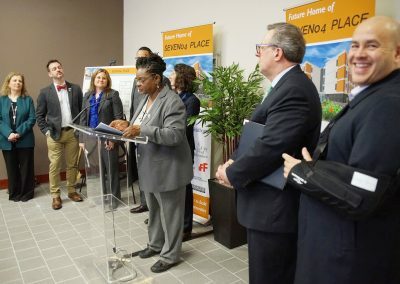 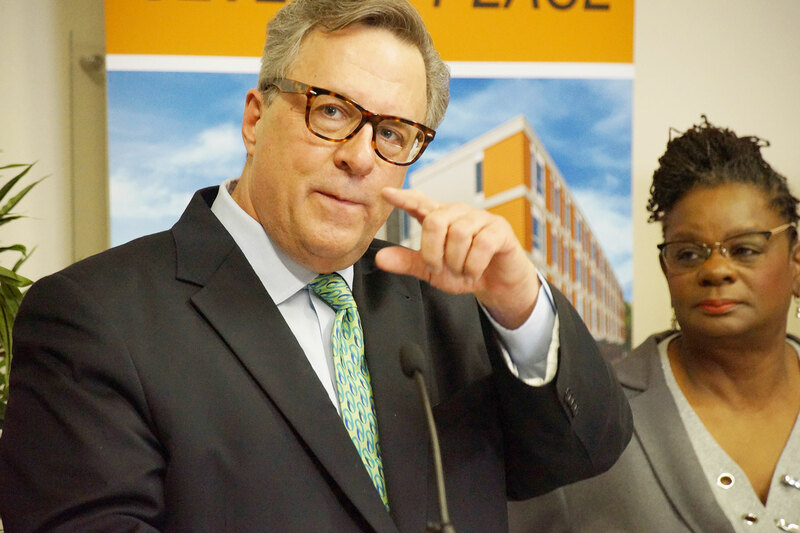 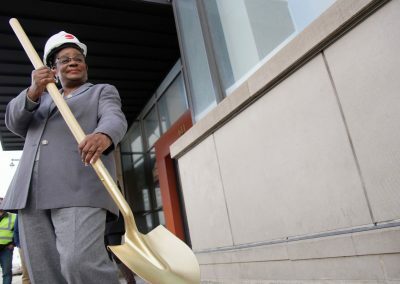 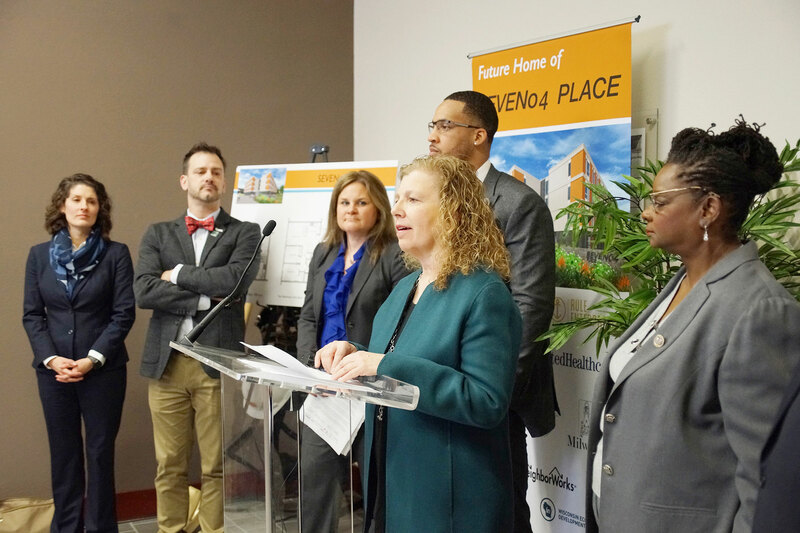 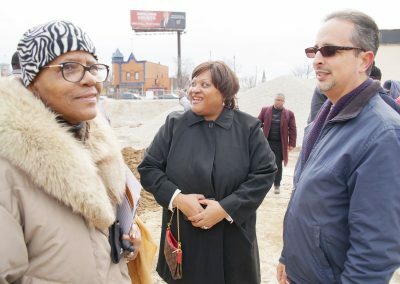 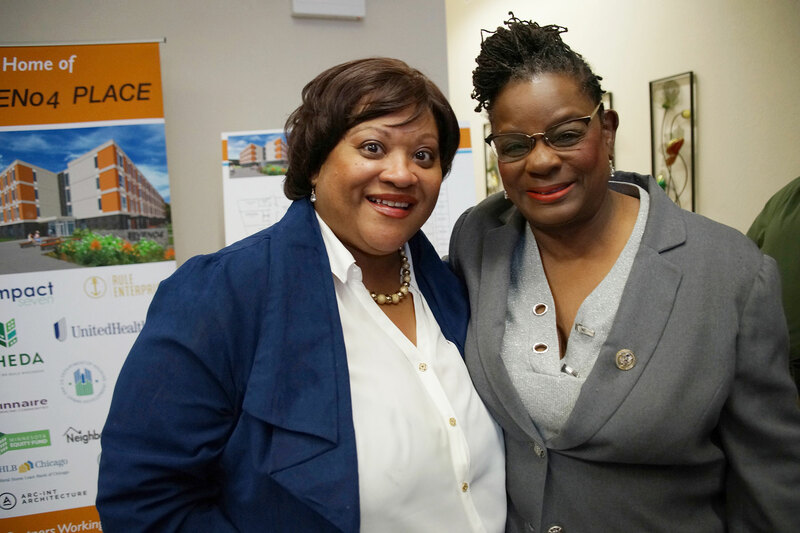 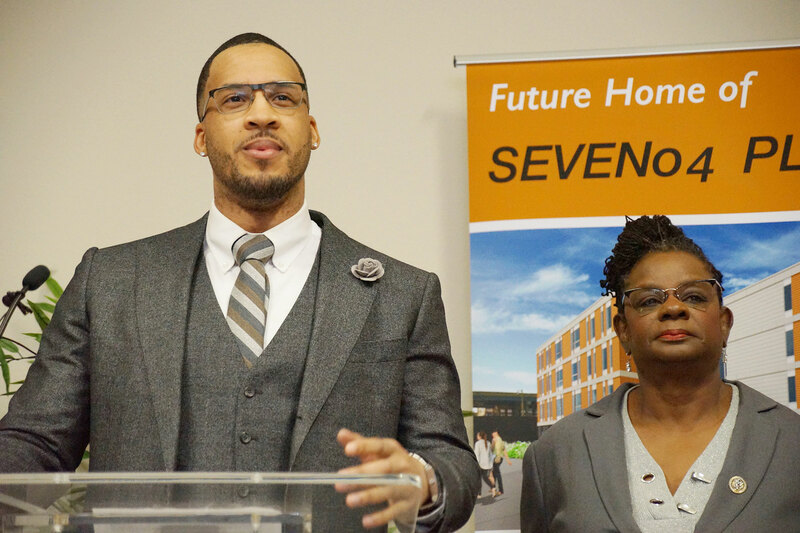 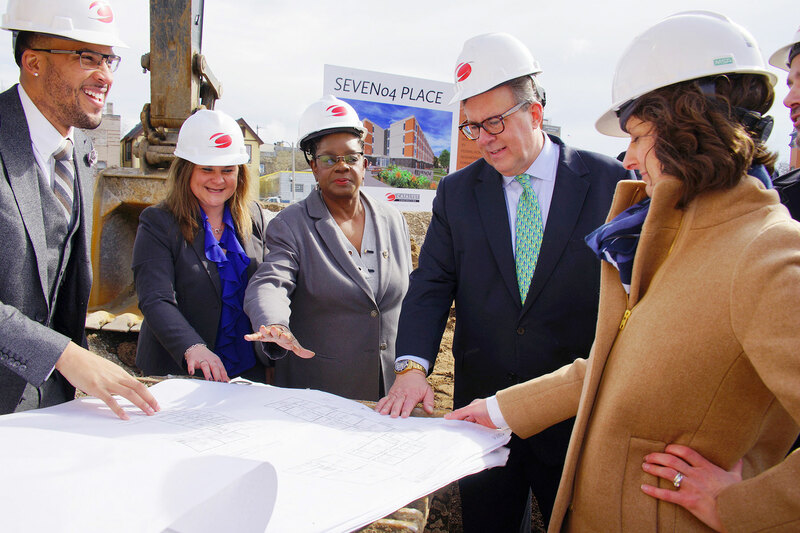 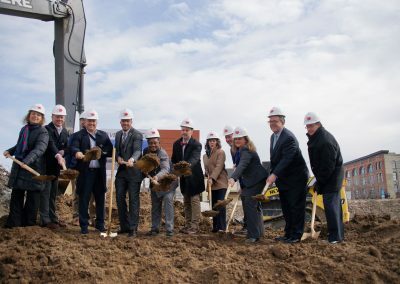 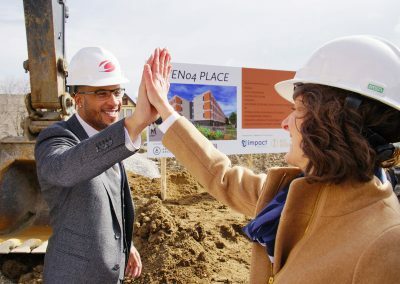 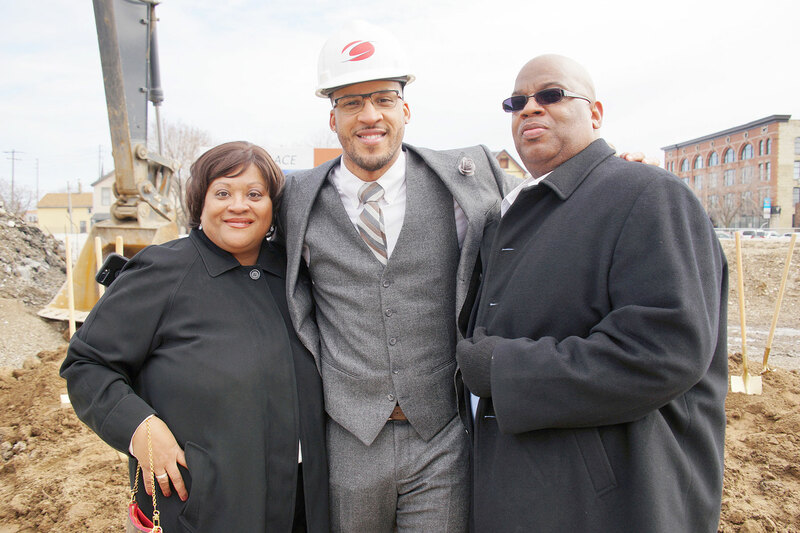 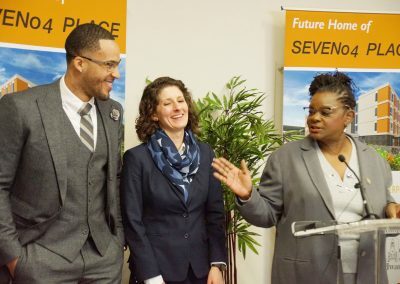 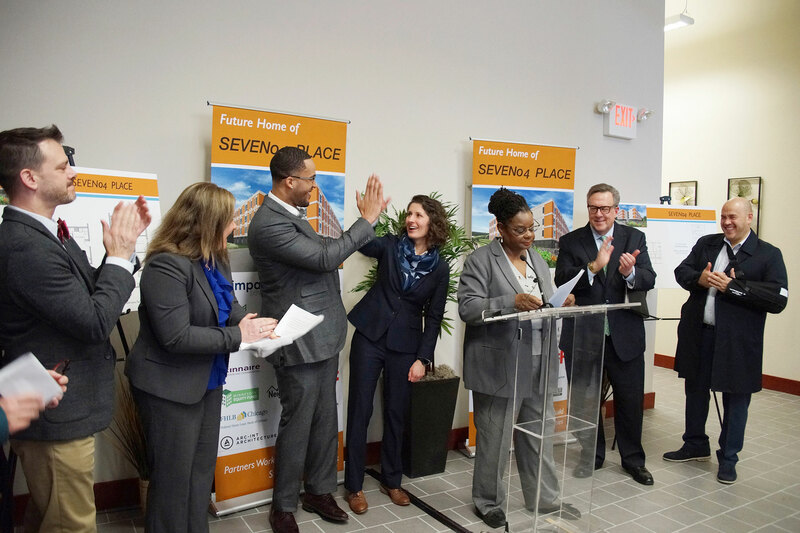 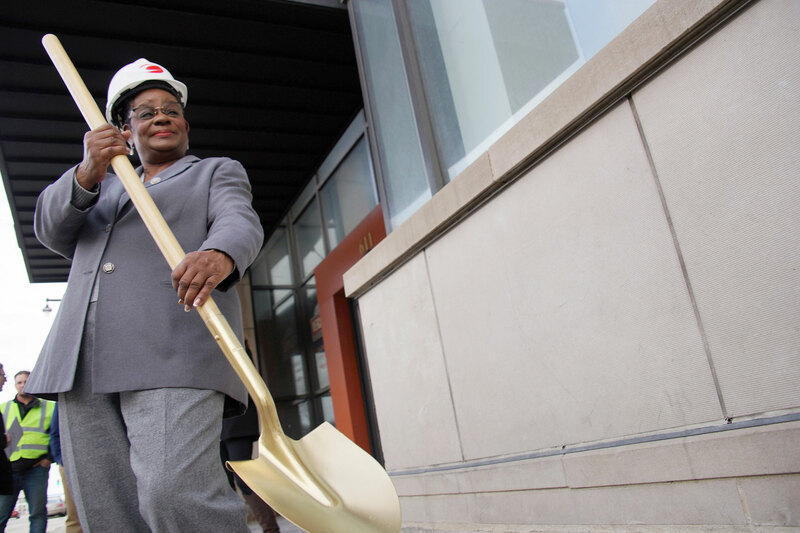 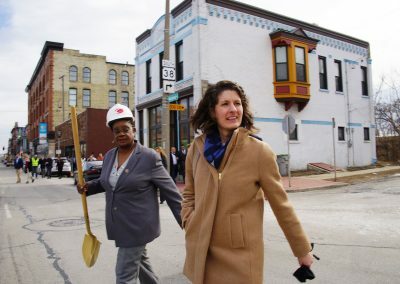 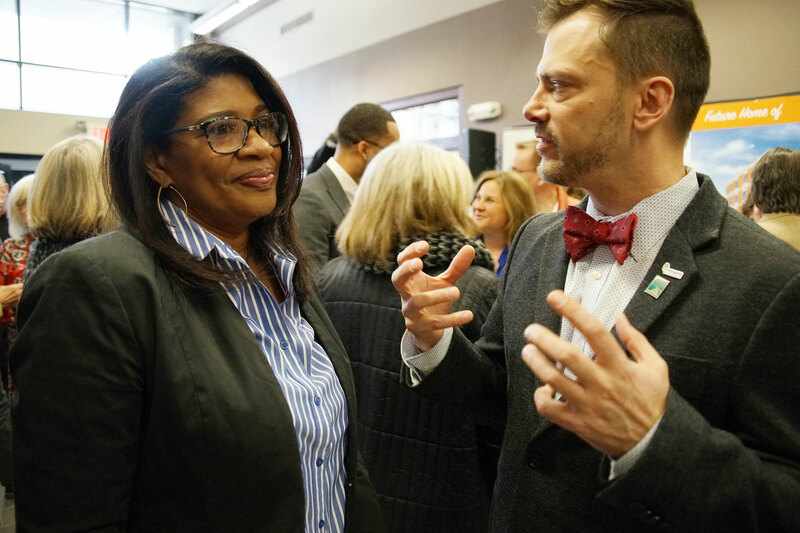 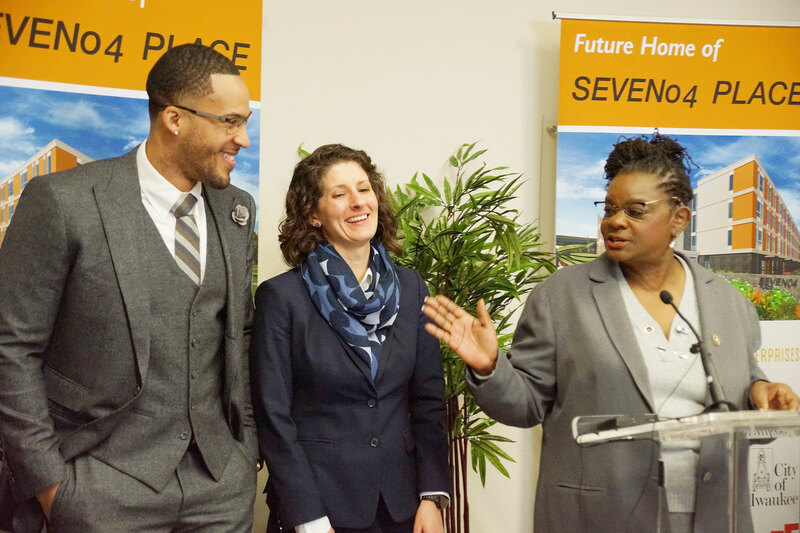 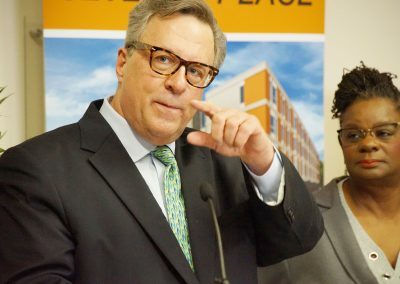 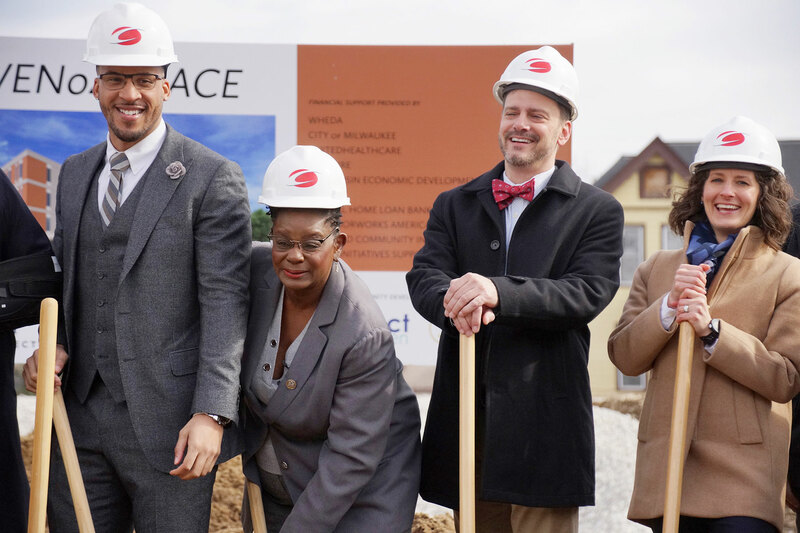 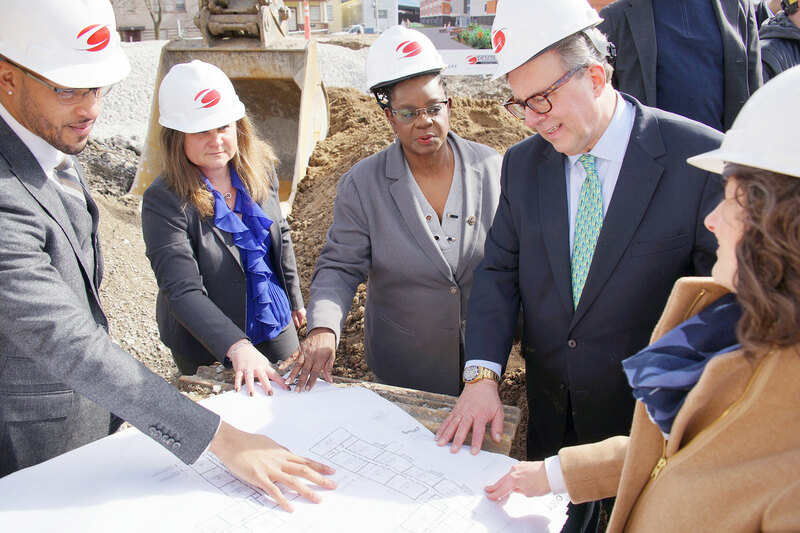 Community leaders, local residents and development partners came together on February 22 to celebrate the start of construction for SEVEN04 PLACE, a new 60-unit affordable-housing development in the Walker’s Point neighborhood of Milwaukee. 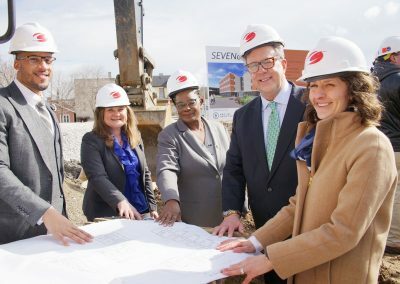 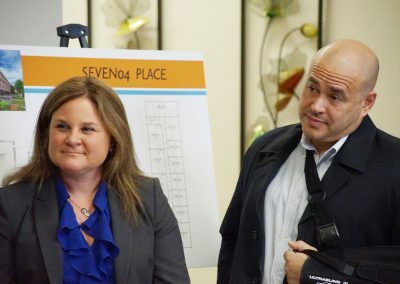 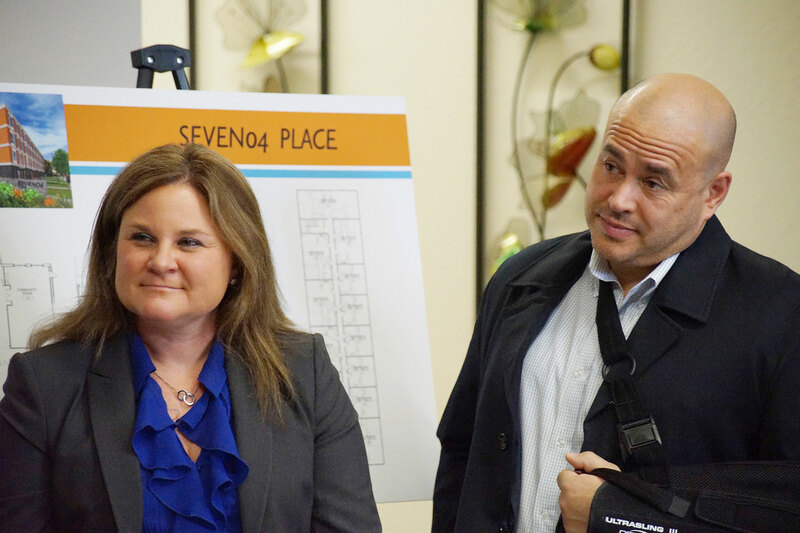 Developed by Impact Seven and Rule Enterprises, SEVEN04 PLACE will feature one-, two- and three-bedroom apartments, including 46 units of affordable housing for individuals and working families. 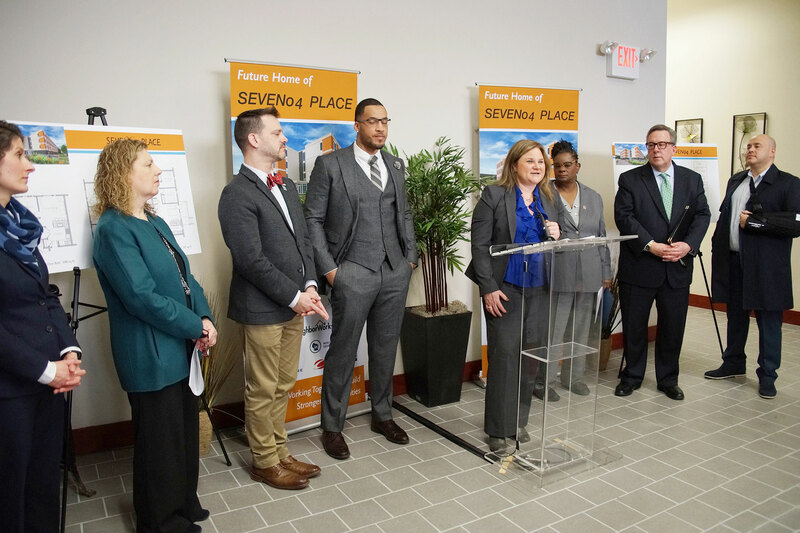 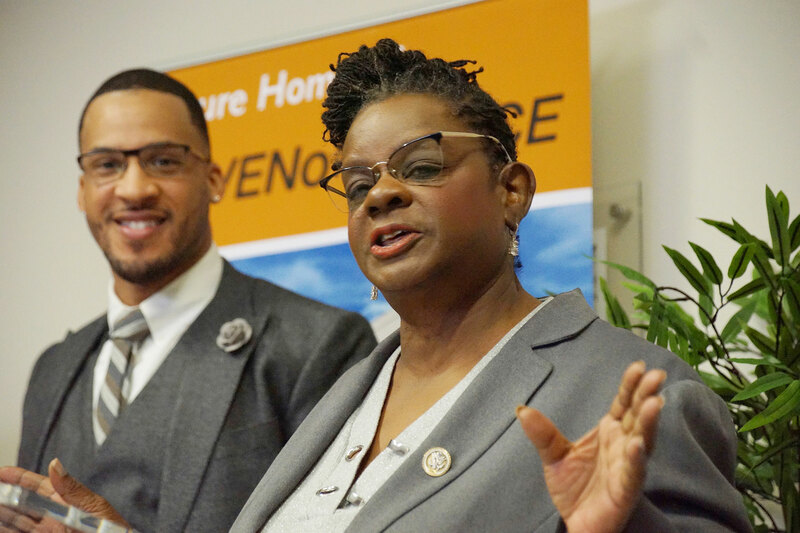 Fourteen units will be dedicated to permanent supportive housing for military veterans and other adults who have struggled with barriers to housing stability. 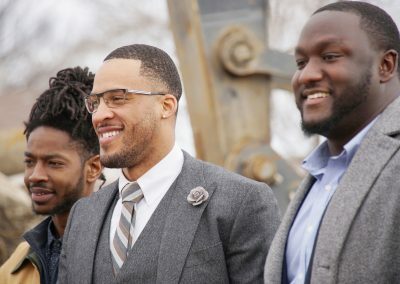 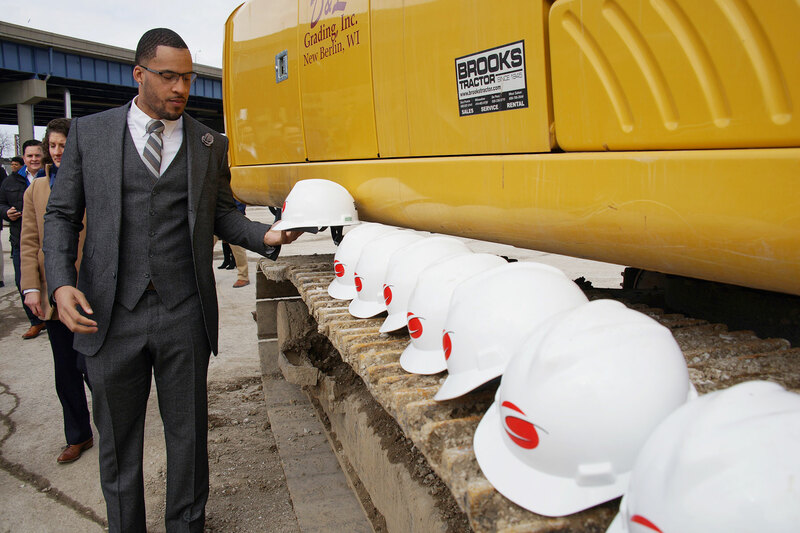 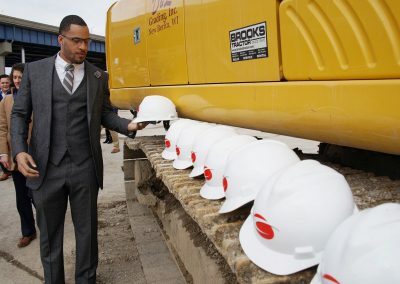 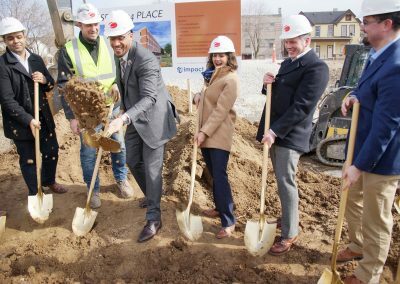 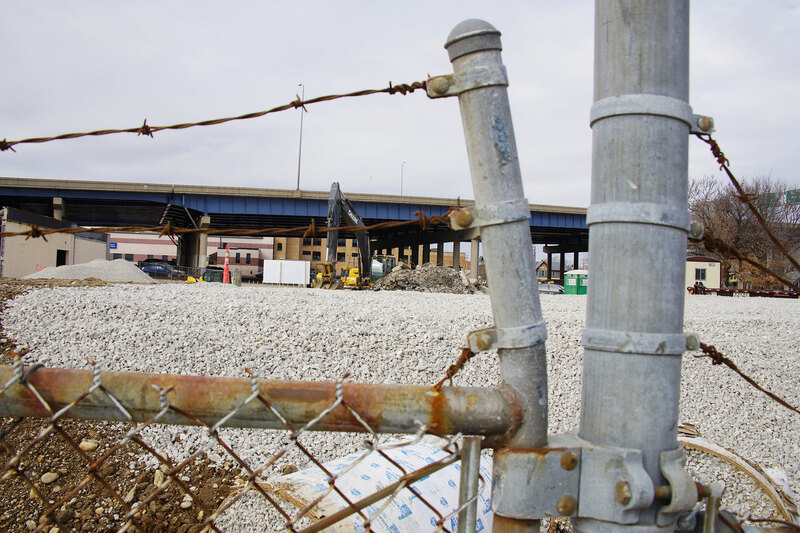 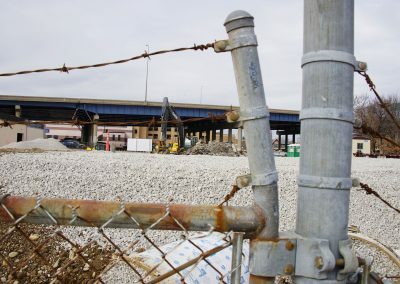 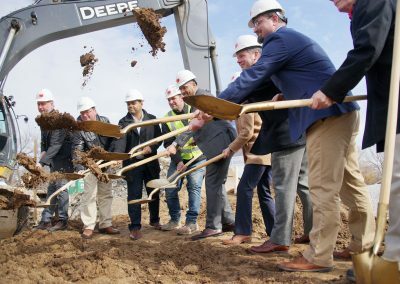 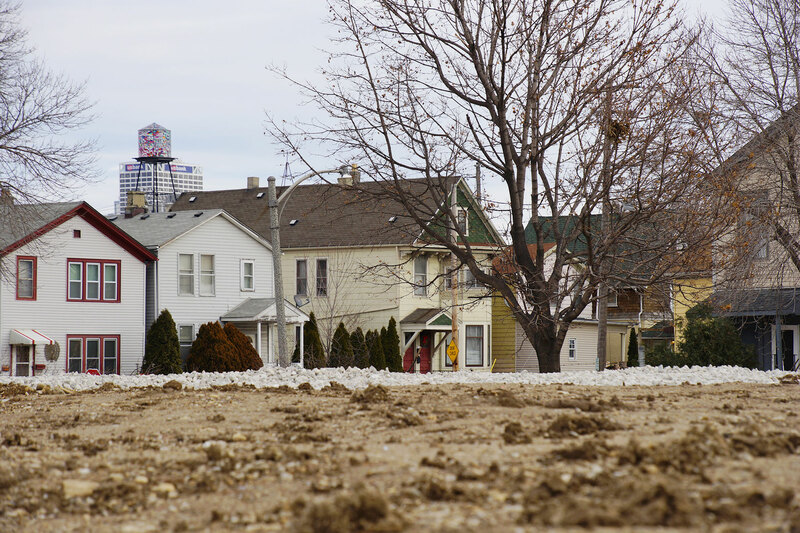 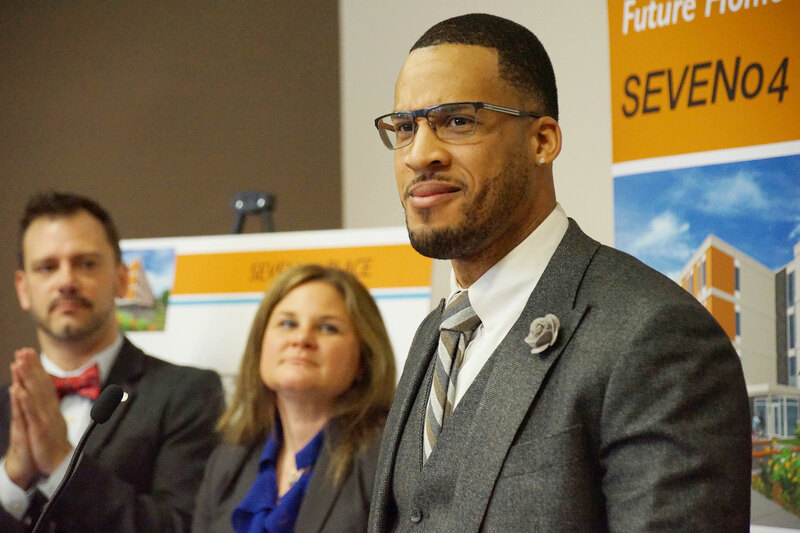 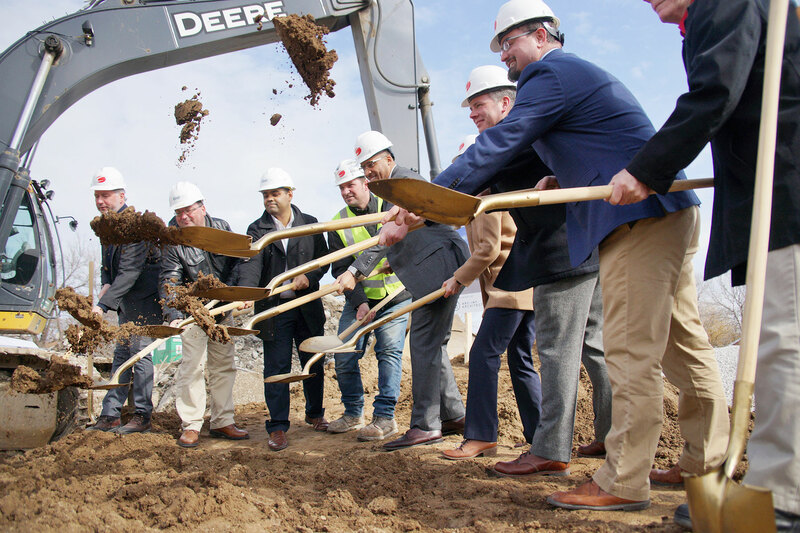 “This marks another important step in the revitalization of Walker’s Point and our community’s efforts to bring quality, affordable housing for working families and people in need in Milwaukee,” said Brandon Rule, CEO of Rule Enterprises. 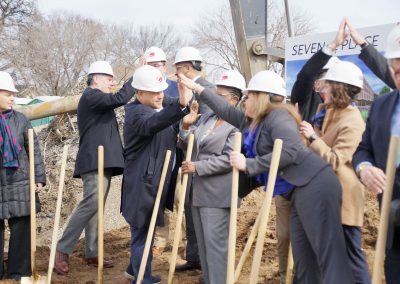 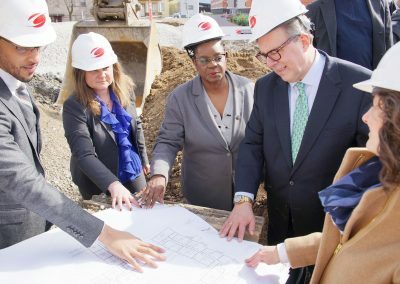 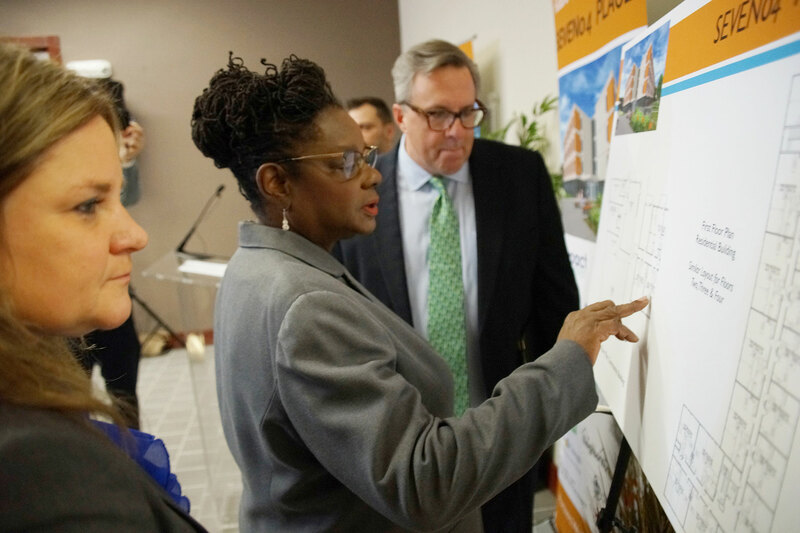 During the groundbreaking event, UnitedHealthcare – the largest investor in the new development – announced it is providing $6.3 million in equity through a Low-Income Housing Tax Credit (LIHTC) partnership with Cinnaire and Minnesota Equity Fund. 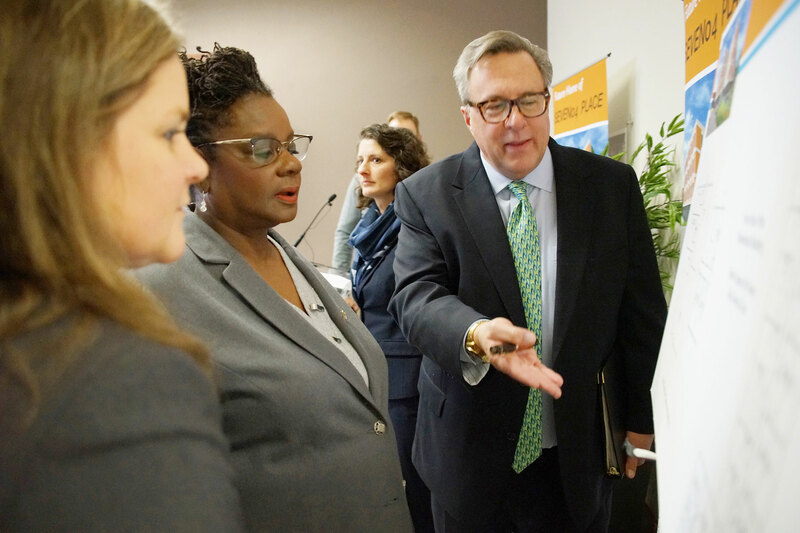 UnitedHealthcare employs 8,900 people in Wisconsin and serves the health care needs of more than 1.6 million people statewide. 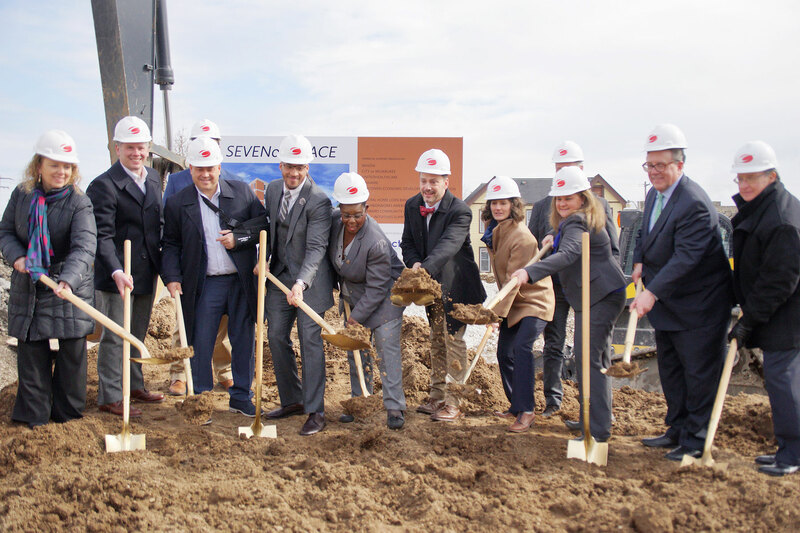 UnitedHealthcare has partnered with Cinnaire and MEF to invest over $85 million to help build 13 new communities in Wisconsin and the Great Lakes Region, providing nearly 670 new, affordable homes with support services for individuals and families. 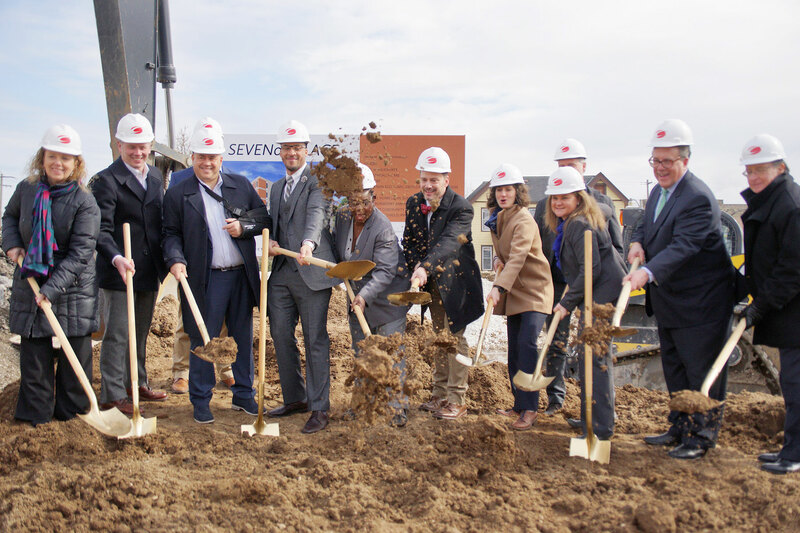 This includes a $5.3 million investment in The Flats at Grandview Commons, currently under construction in Madison. 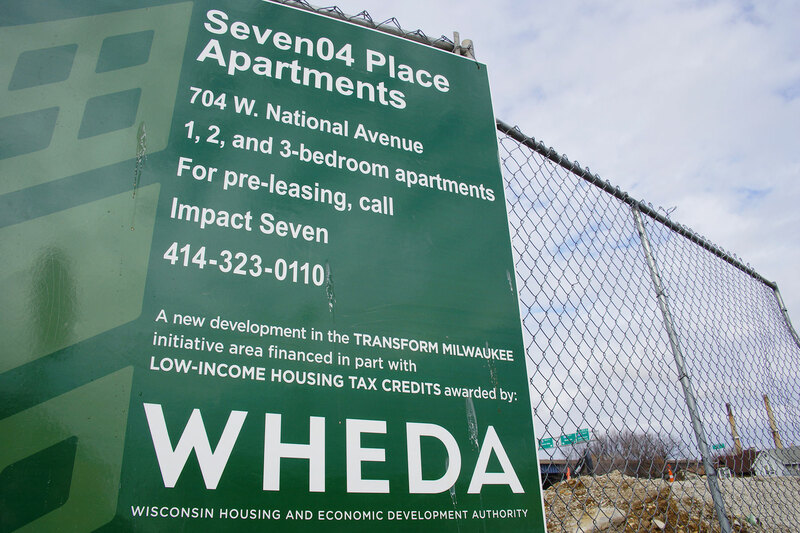 The Wisconsin Housing and Economic Development Authority (WHEDA) allocated tax credits for 49 of the 60 units and is providing $3.2 million in loans and mortgage financing for the entire development. 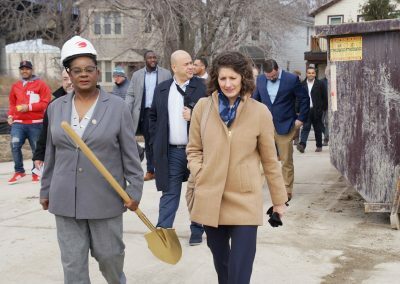 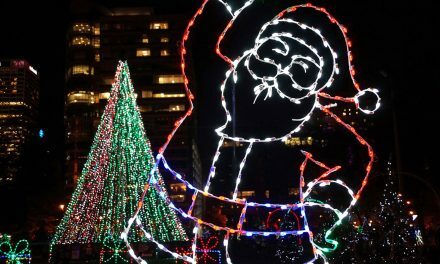 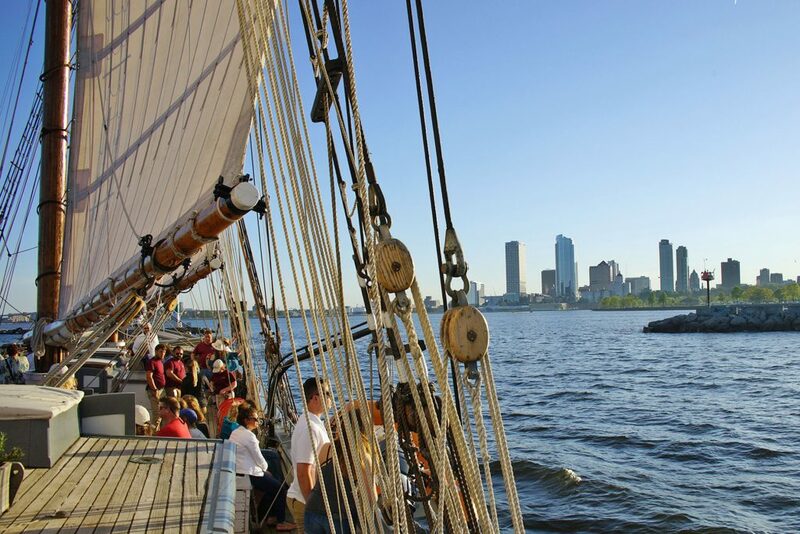 The City of Milwaukee; the U.S. Department of Housing and Urban Development; IFF and the Federal Home Loan Bank of Chicago; Wisconsin Economic Development Corporation (WEDC); and NeighborWorks contributed $2.2 million in additional funding. 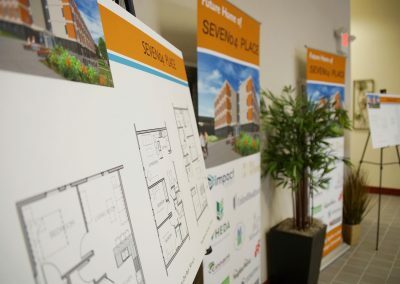 Impact Seven and Rule Enterprises is providing $450,000 in deferred development fees. 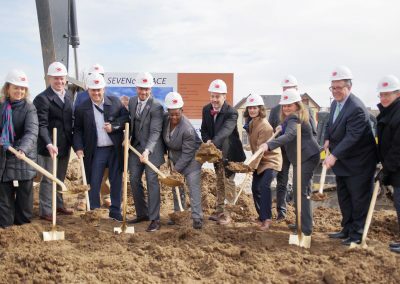 Impact Seven will manage SEVEN04 PLACE, which will feature on-site amenities such as a multipurpose community lounge, fitness room, on-site property offices, surface parking, indoor bike and resident storage, and a washer and dryer in each unit. 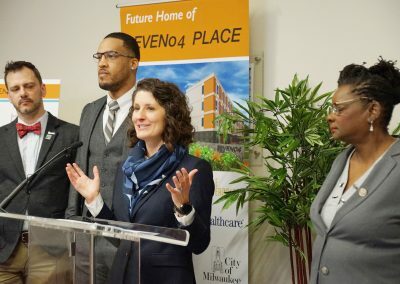 The new community will be accessible to public transportation, located within blocks of multiple Milwaukee County Transit System bus stops and a 10-minute bike ride to downtown Milwaukee. 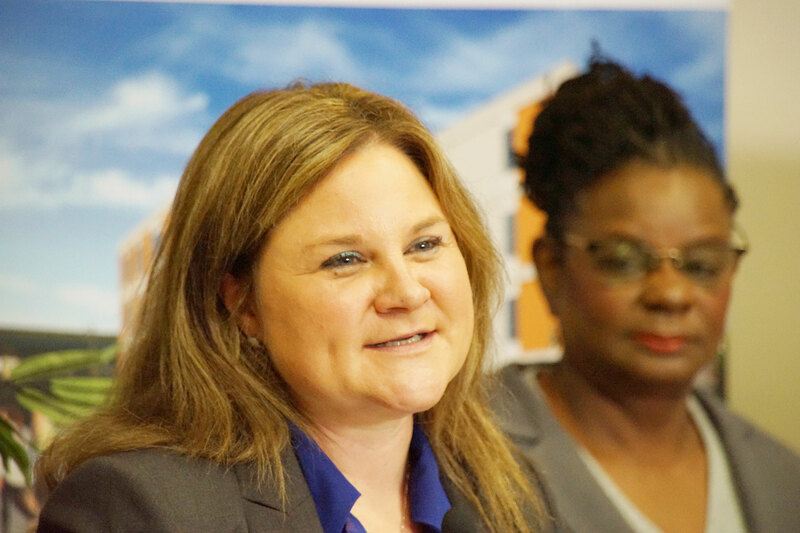 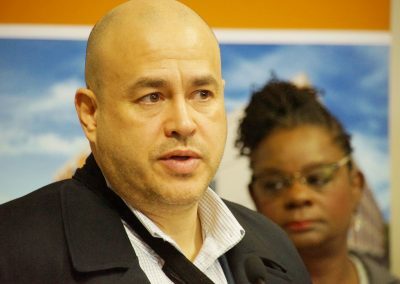 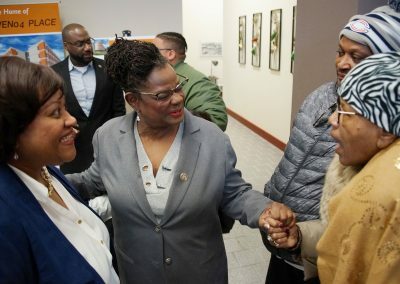 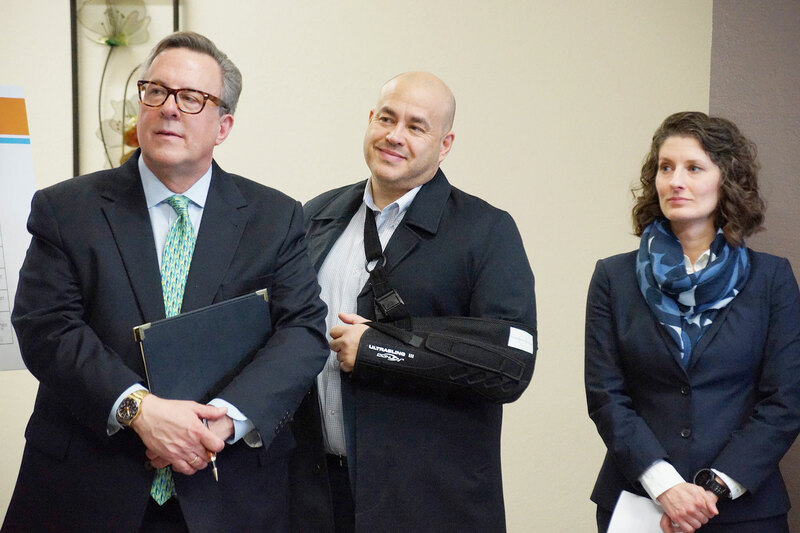 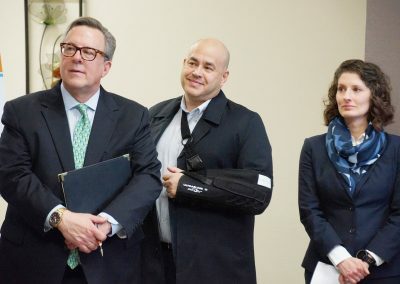 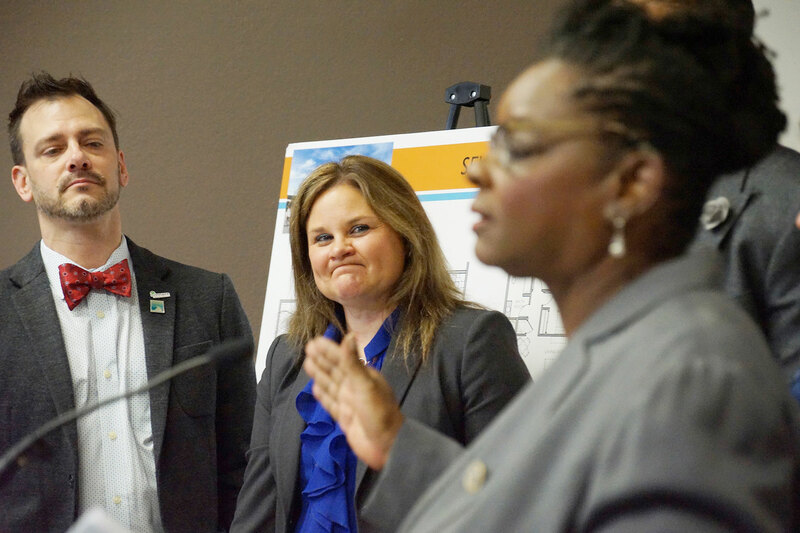 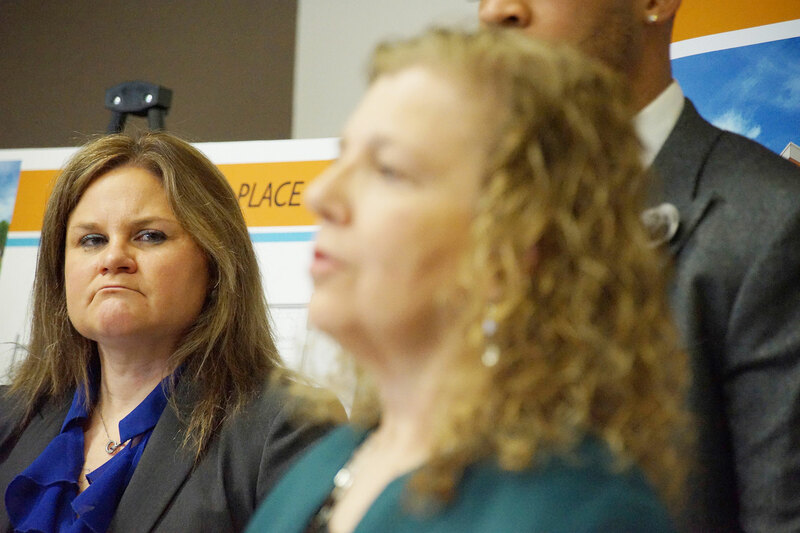 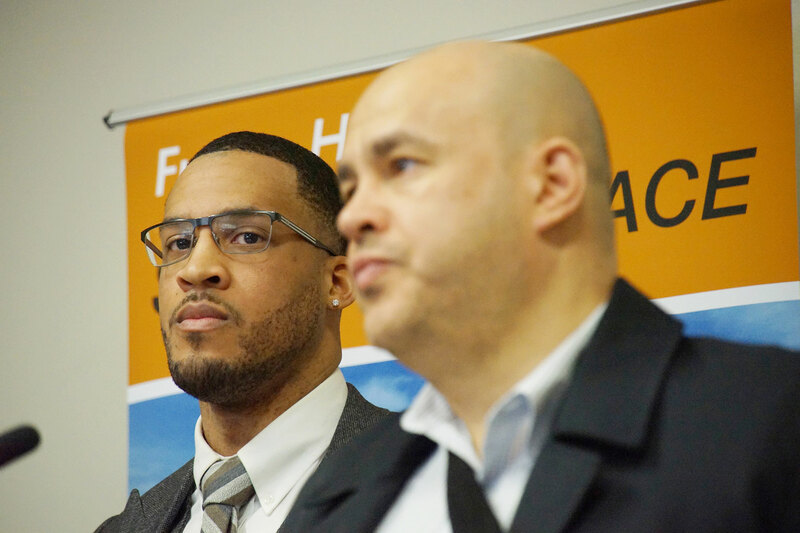 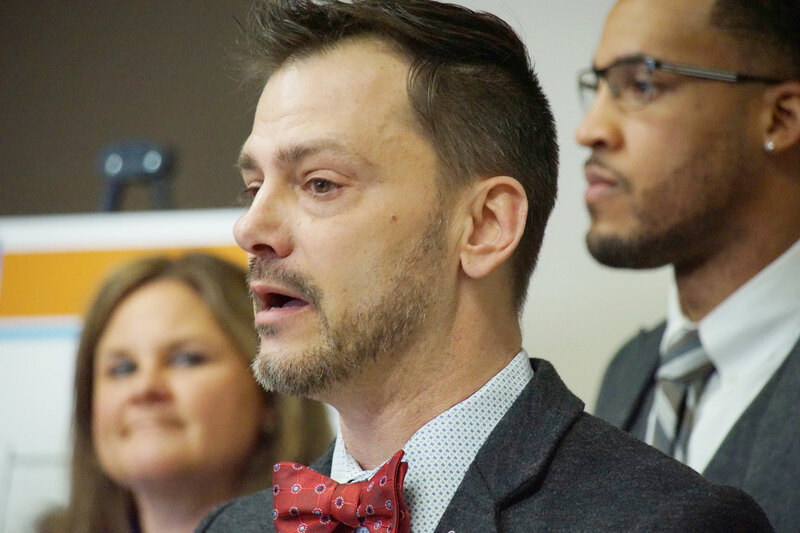 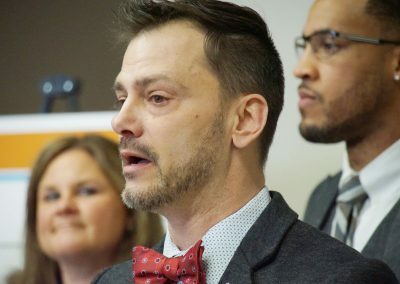 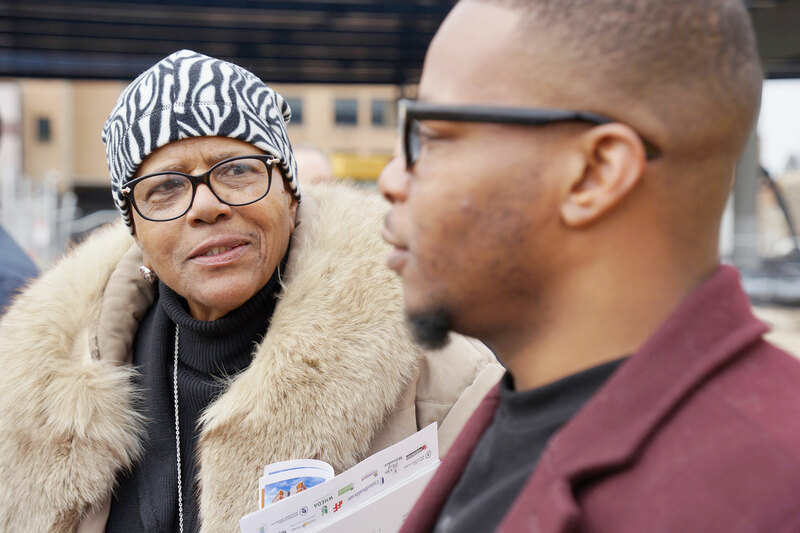 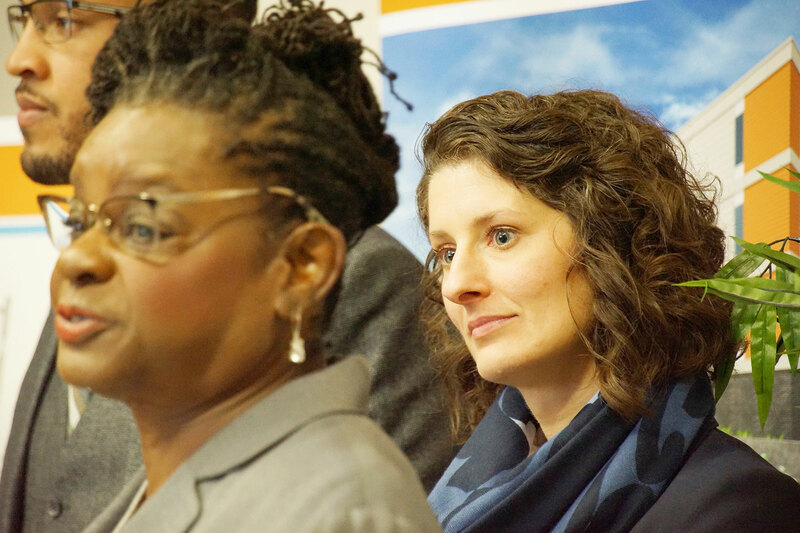 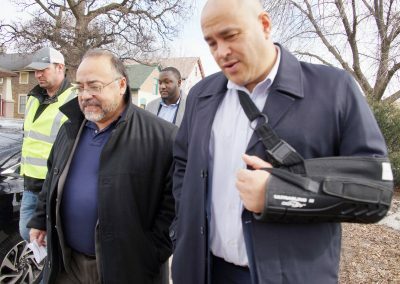 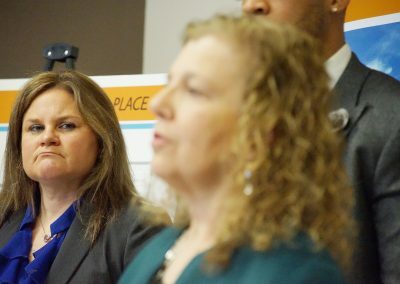 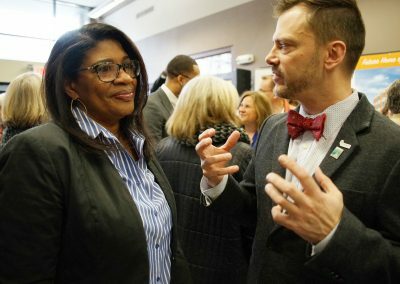 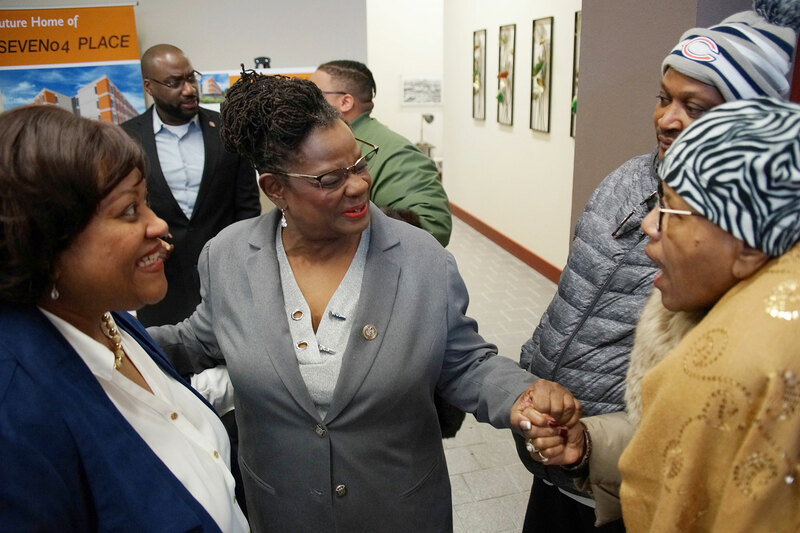 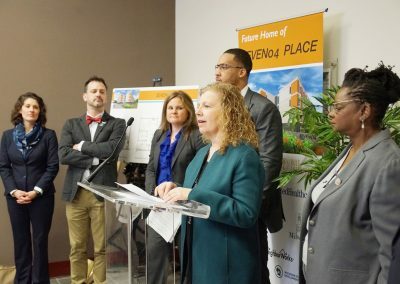 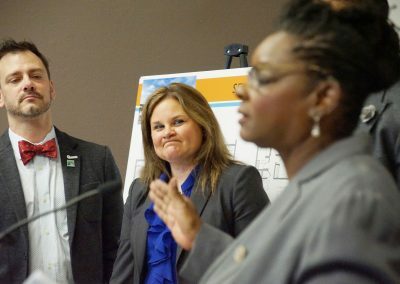 The Milwaukee County Housing Division (MCHD) and Center for Veterans Issues (CVI) will refer individuals and families in need of affordable housing, manage on-site support services and help connect resident veterans to community-based services. 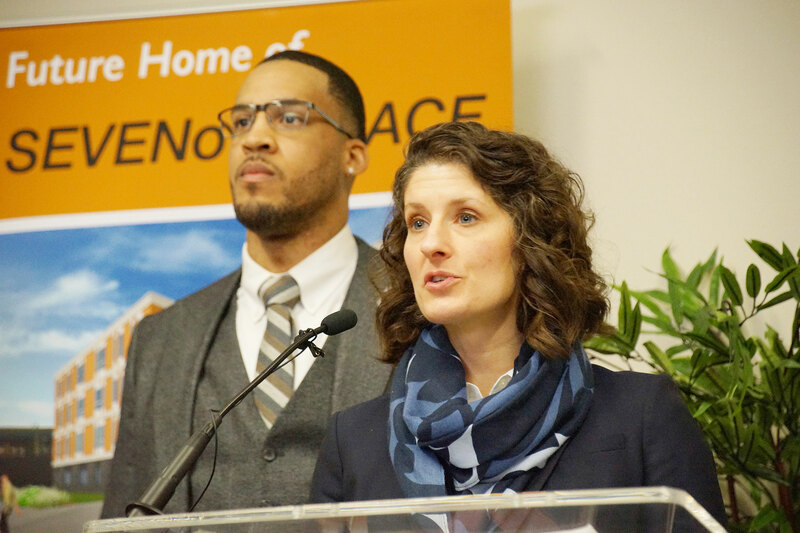 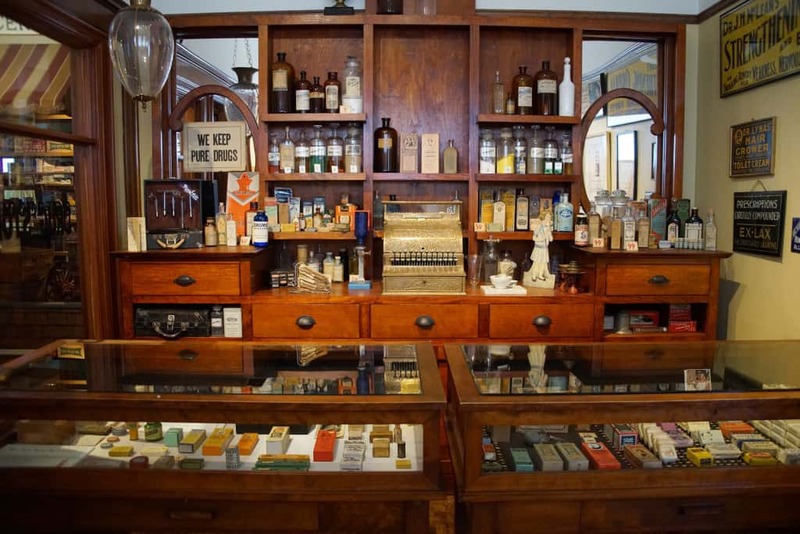 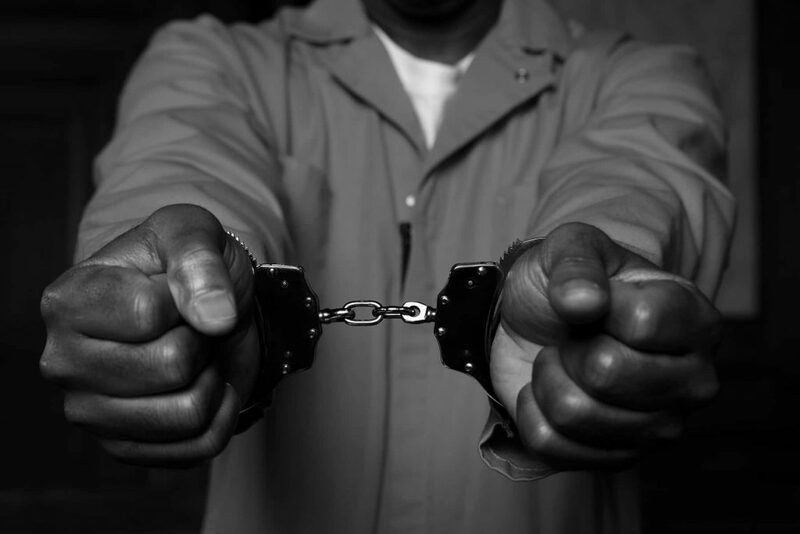 This includes access to existing programs administered through the agencies and providing case management for health care, rehabilitation, job training, education and social services. 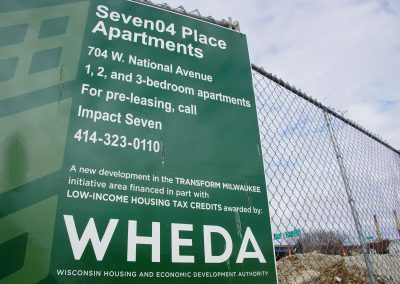 Impact Seven is one of the largest nonprofit developers of affordable housing in Wisconsin, having developed over 2,000 rental housing units since 1980. 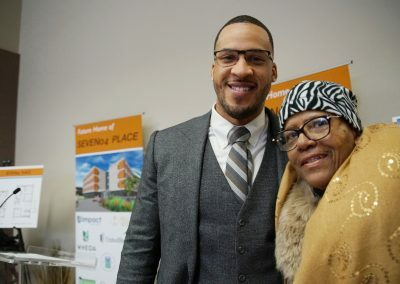 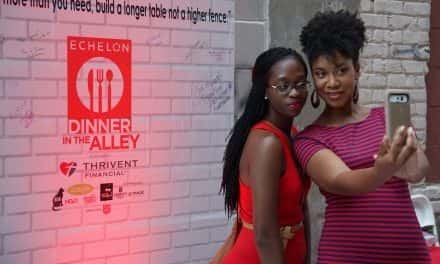 Rule Enterprises is led by Brandon Rule, who grew up in nearby Clarke Square and is a graduate of the Associates in Commercial Real Estate (ACRE) Program, an industry-supported initiative that recruits and retains people of color for careers in commercial real estate. 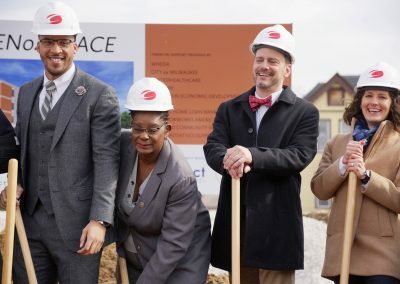 The goal of ACRE is to expand minority representation in the commercial real estate fields of development, property management, and construction management. 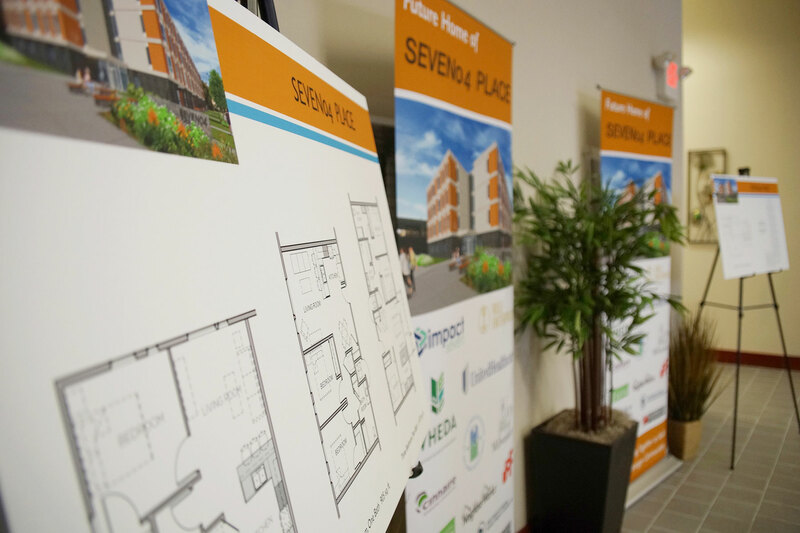 Arc-Int Architecture is the architect for SEVEN04 PLACE, and the construction contractor is Catalyst Construction. 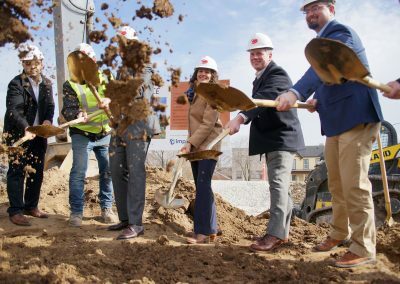 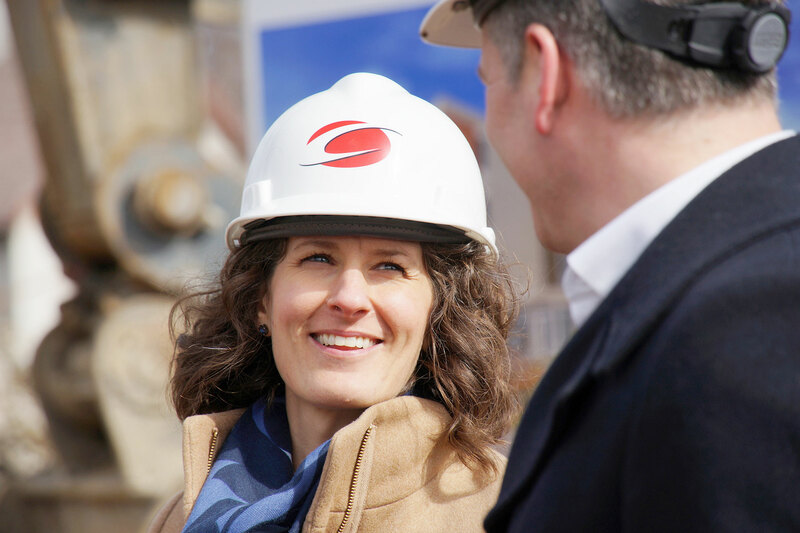 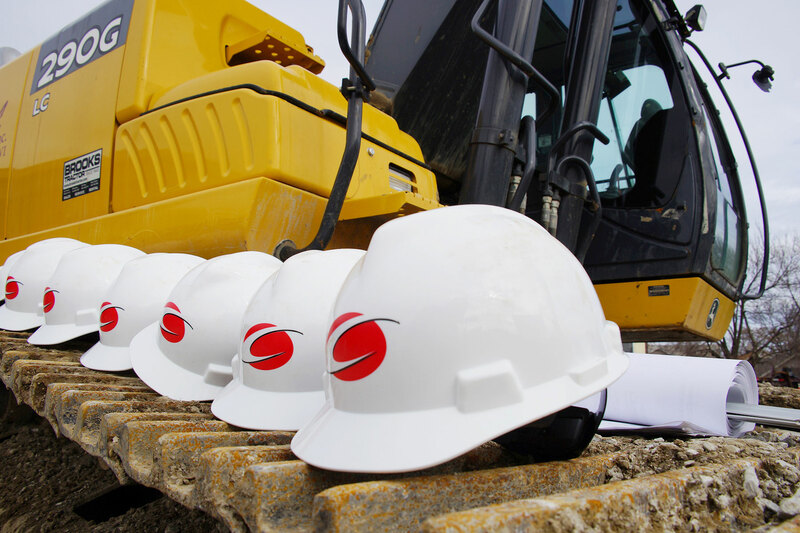 The development, expected to open in early 2019, is designed to meet Wisconsin Green Built Home certification standards, including measures for high energy efficiency. 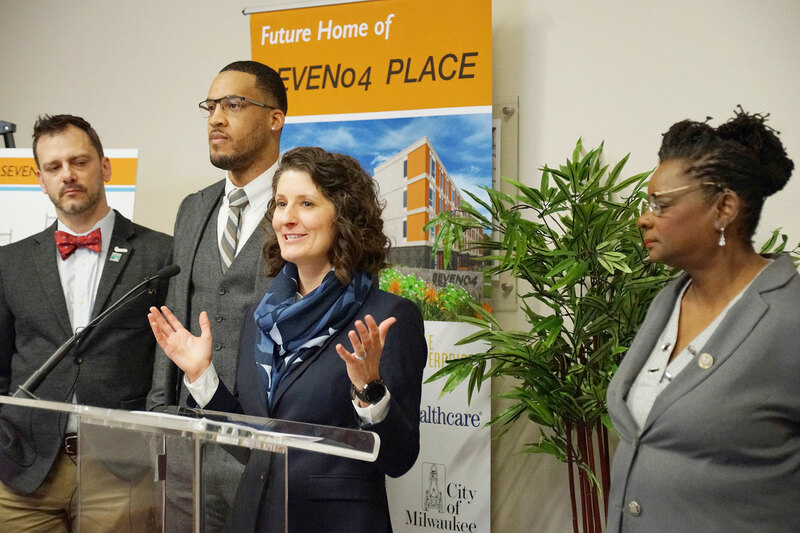 SEVEN04 PLACE will replace a vacant warehouse and will be built in a part of Walker’s Point that is one of the most active development zones in Milwaukee.